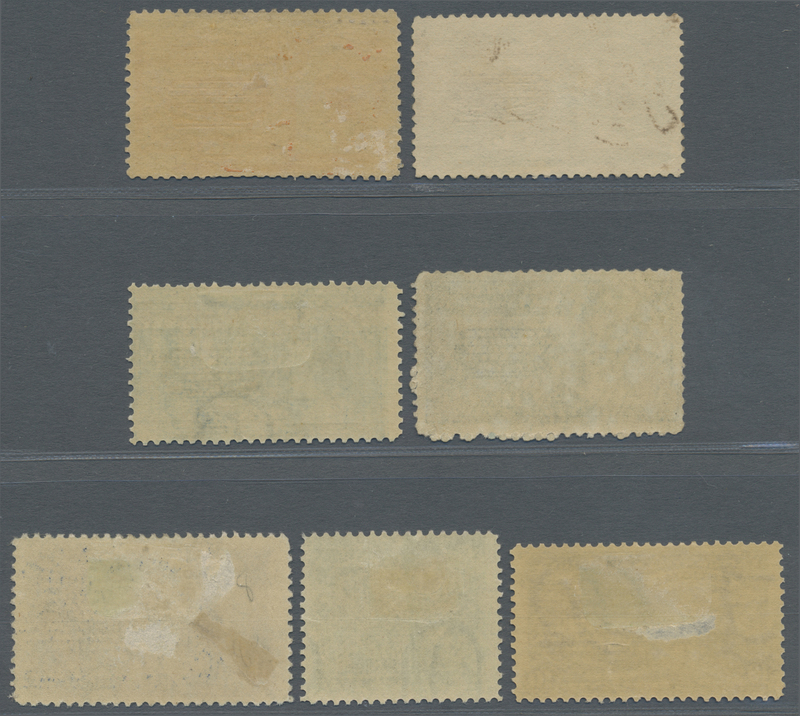 13086 ungebraucht (hinged) * ungebraucht ohne Gummi (unused without gum) (*) ex 60/187 (Sc. 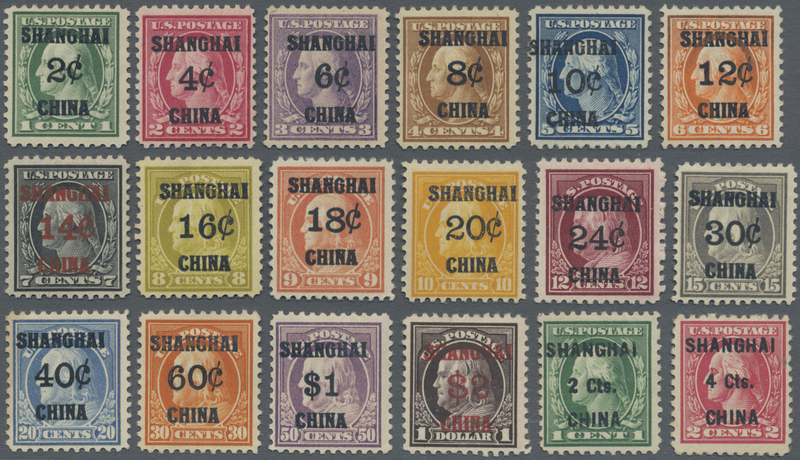 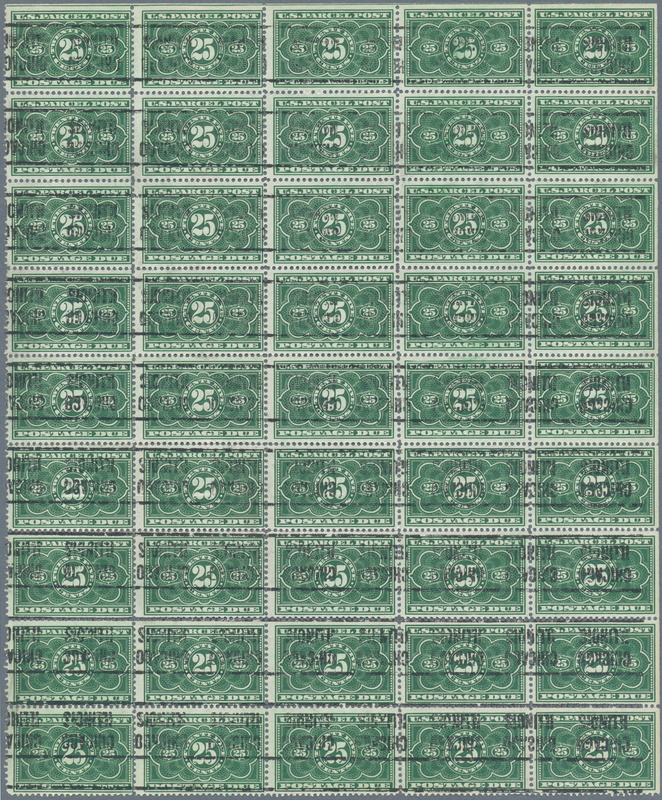 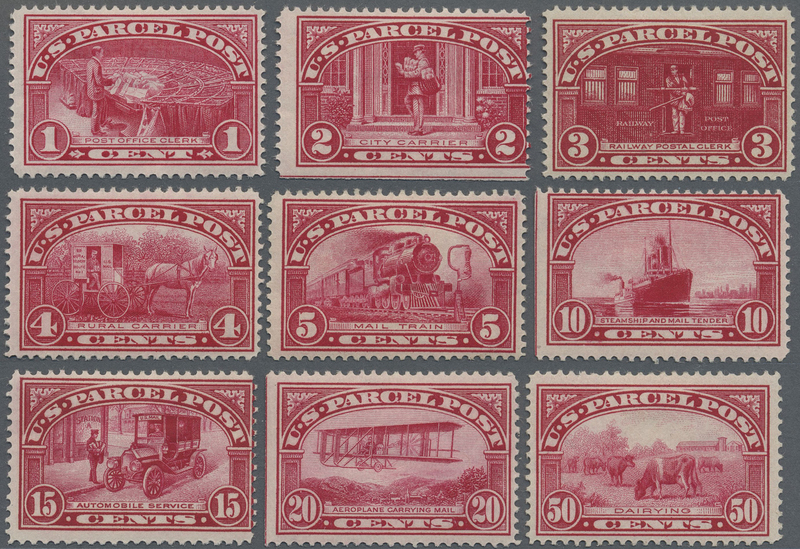 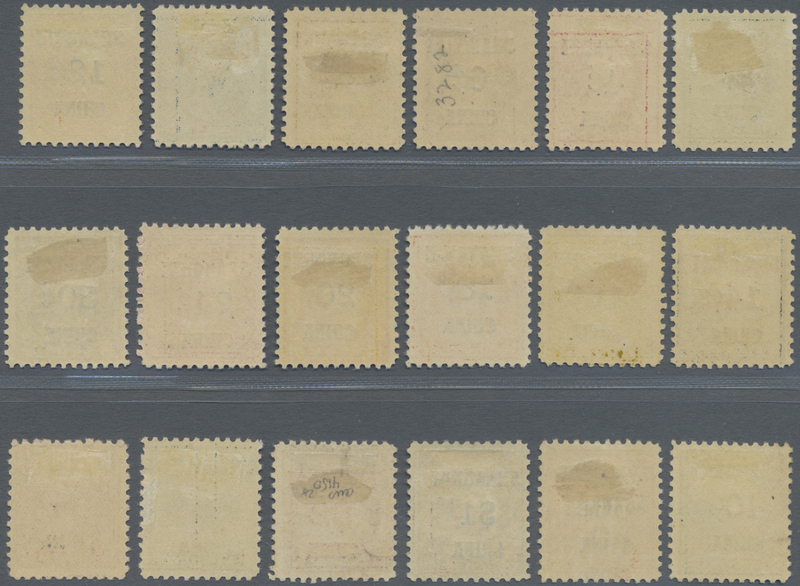 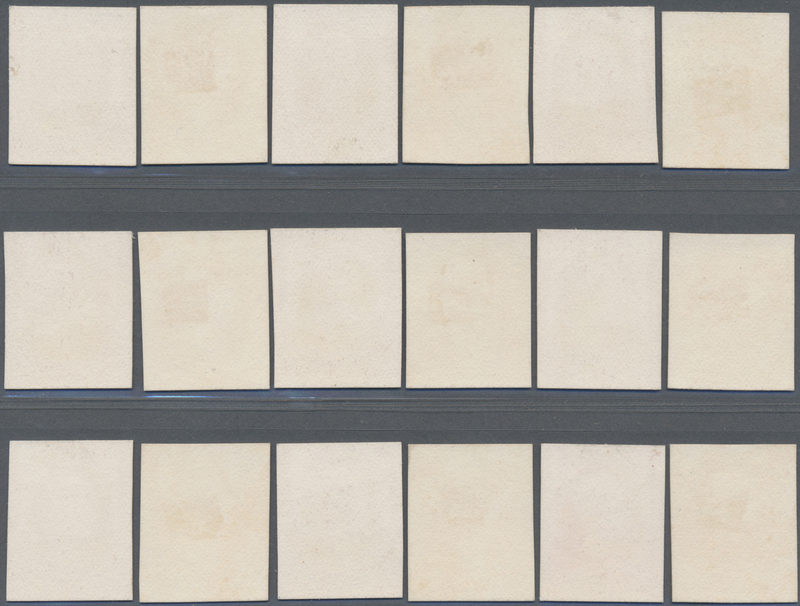 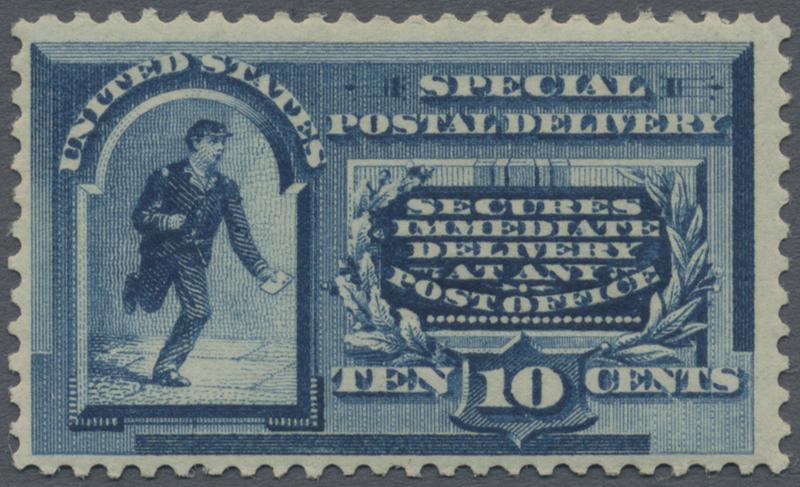 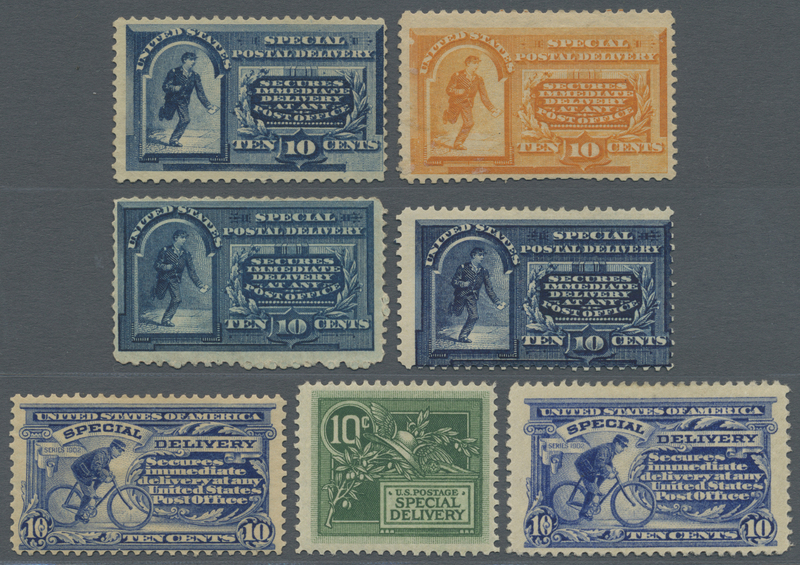 E2-E8 1888-1911 SPECIAL DELIVERY STAMPS: Short collection of the seven early stamps, from No. 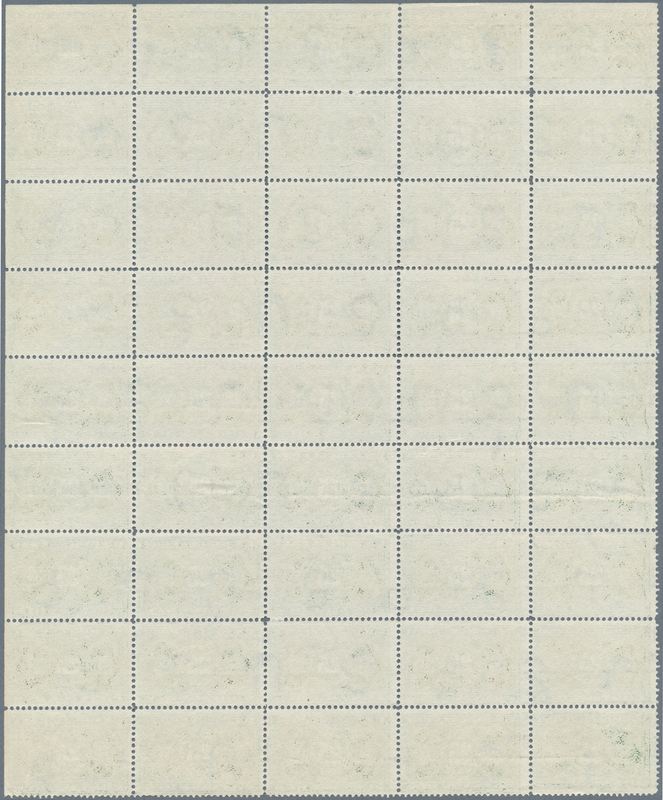 2 to No. 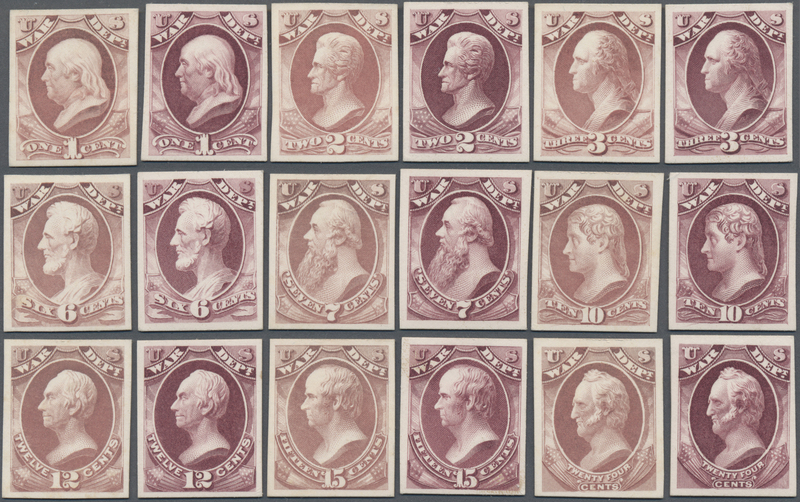 8, all unused, the first one without gum, others hinged (more or less), almost fresh and fine. 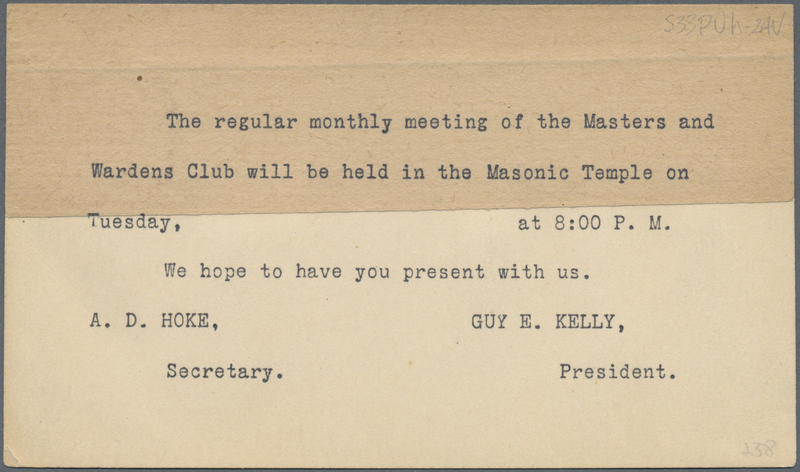 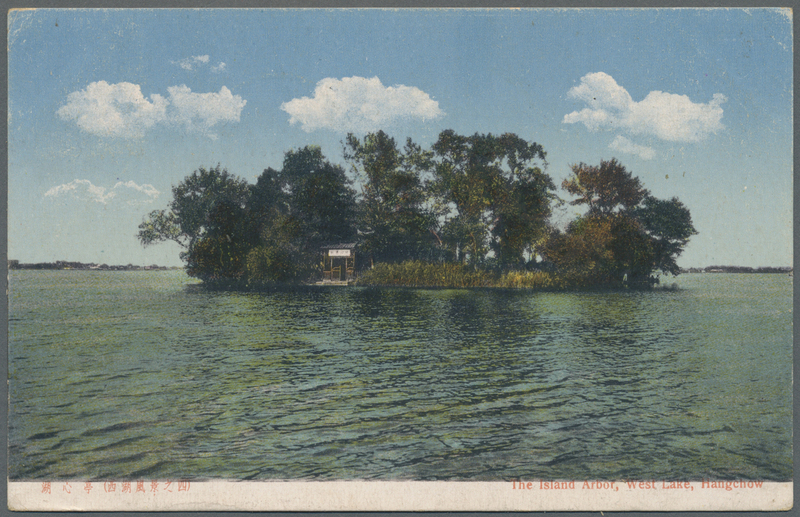 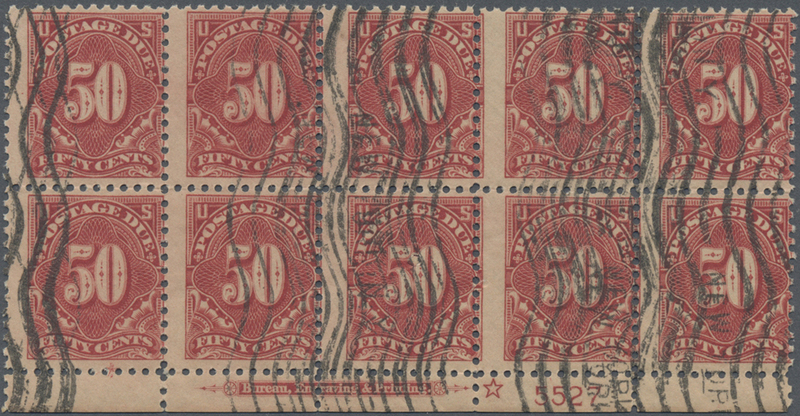 13095 Ganzsache (Complete) 1893. 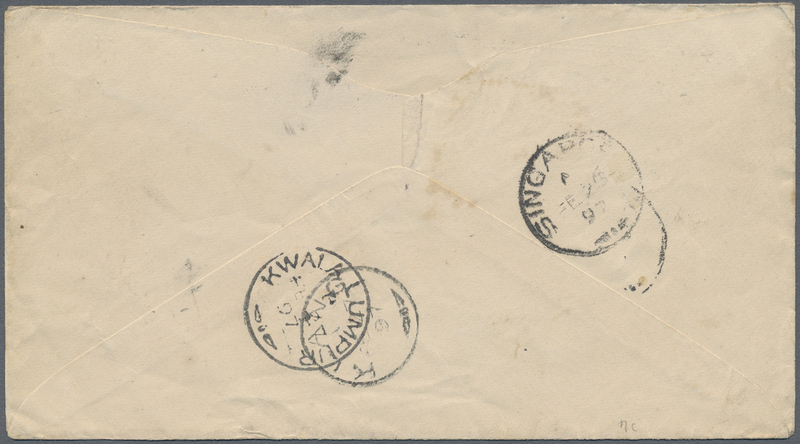 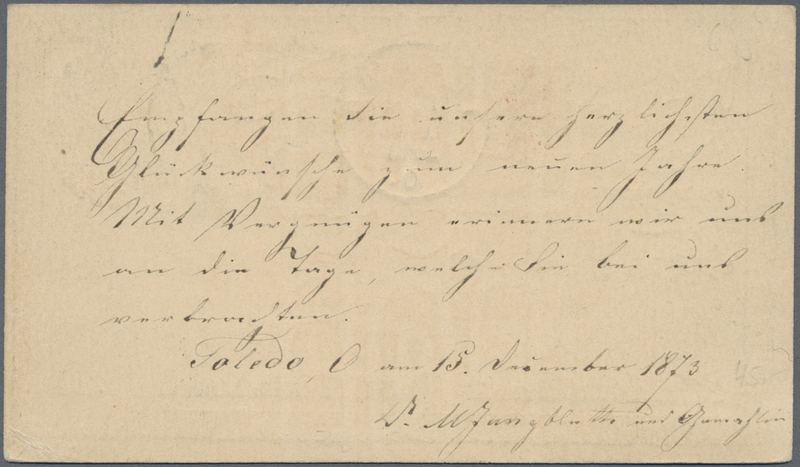 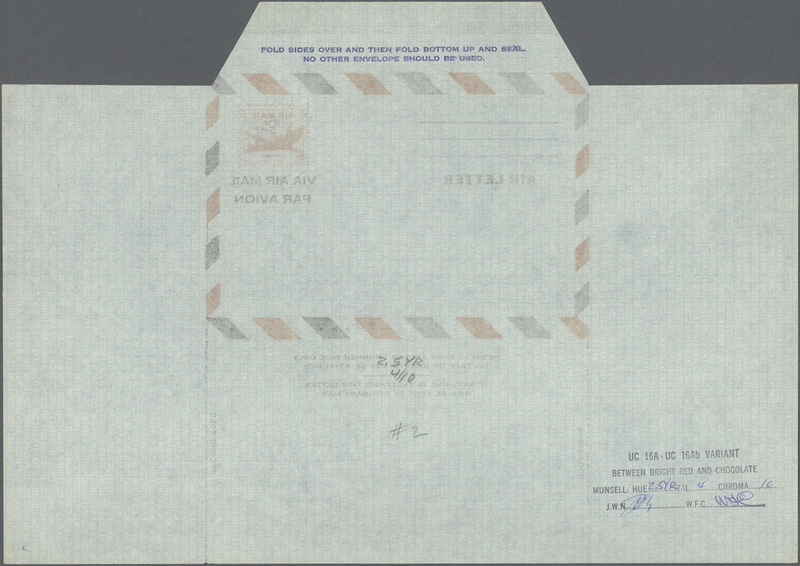 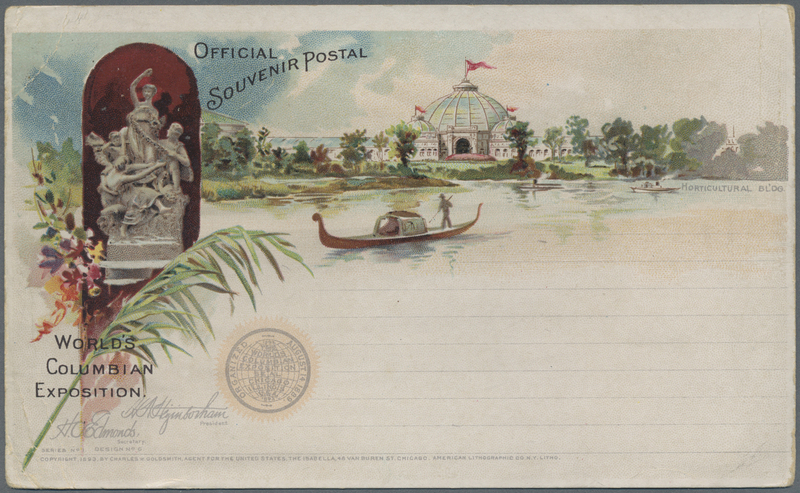 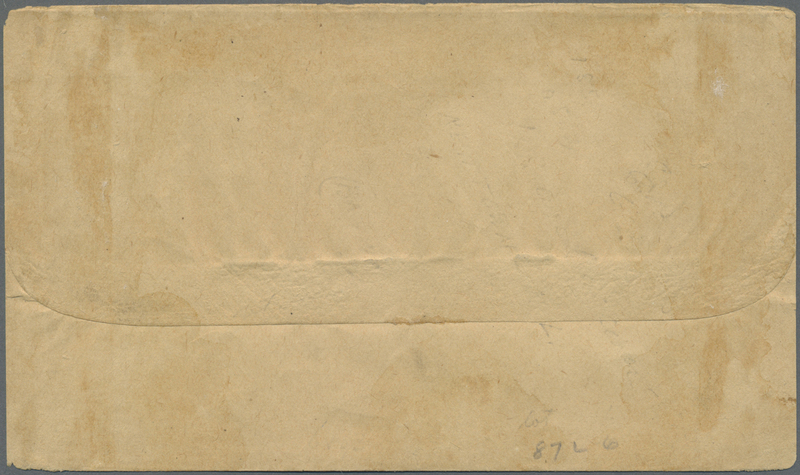 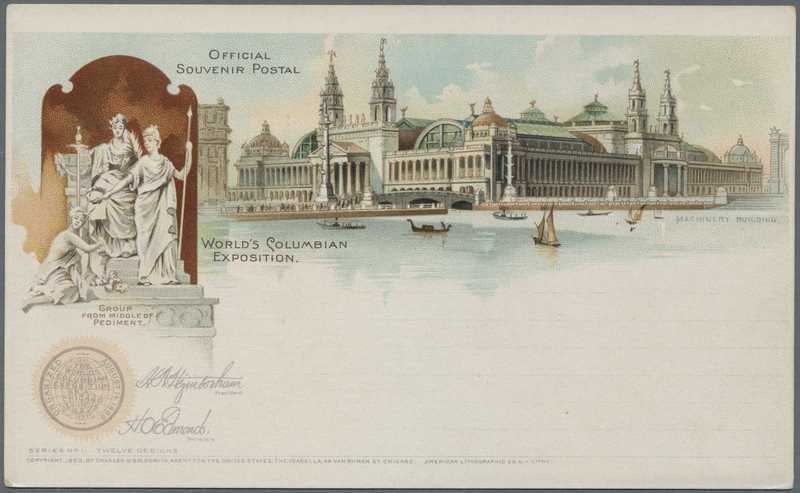 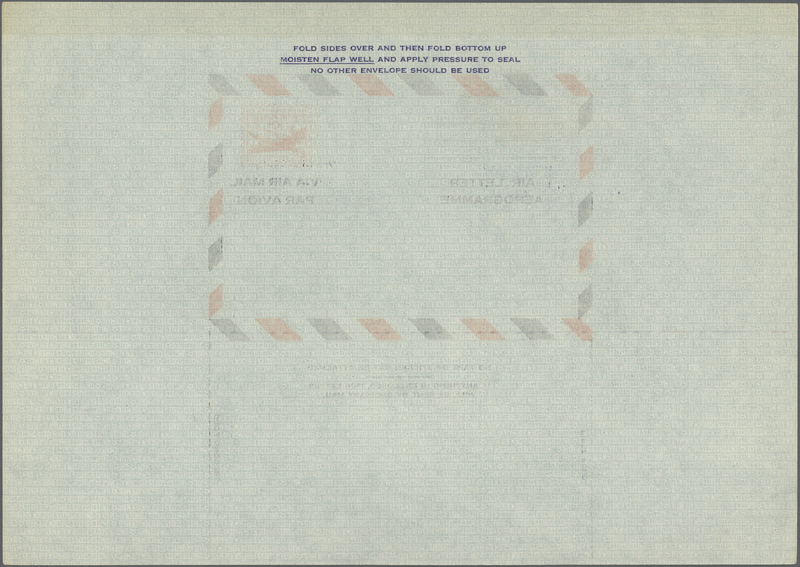 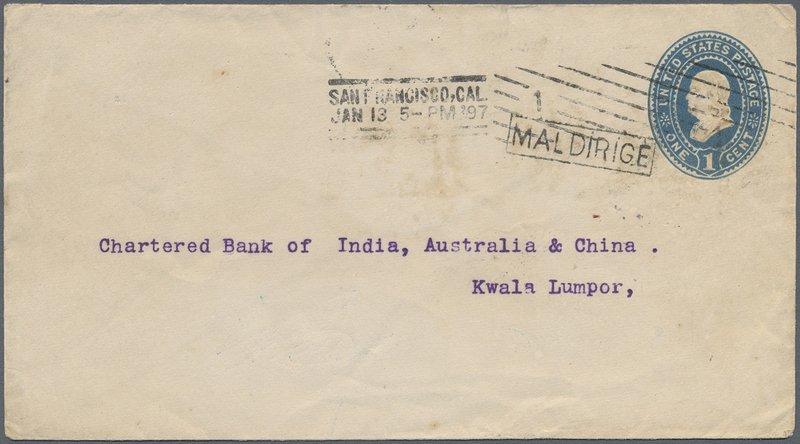 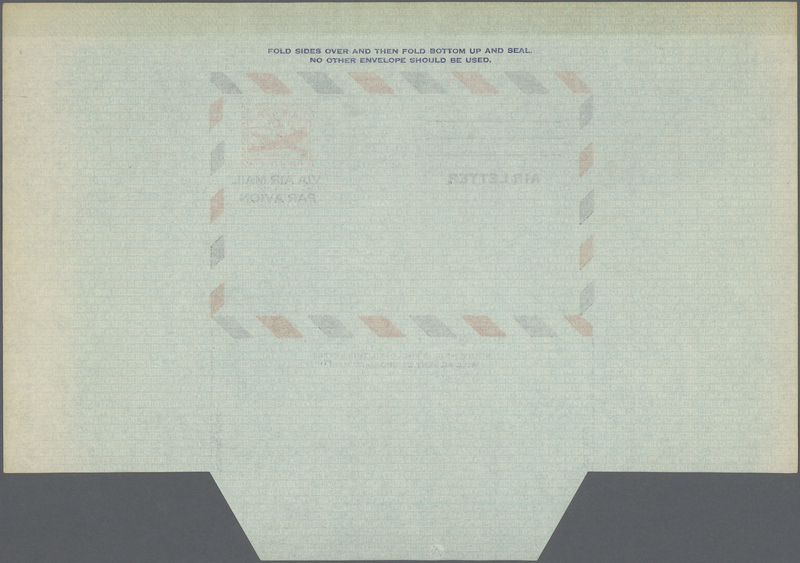 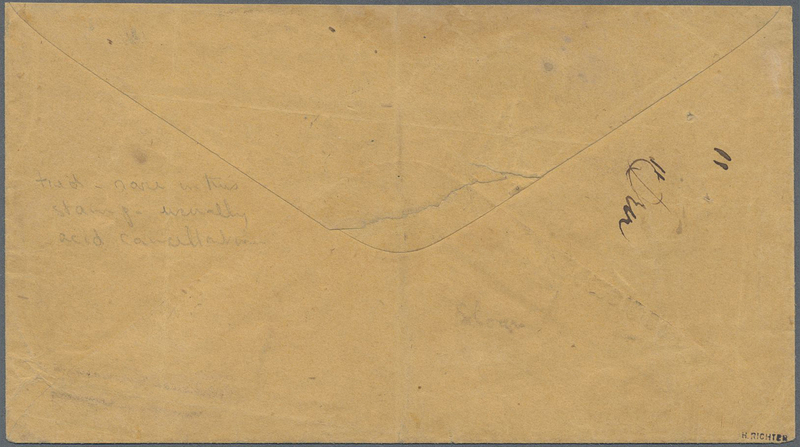 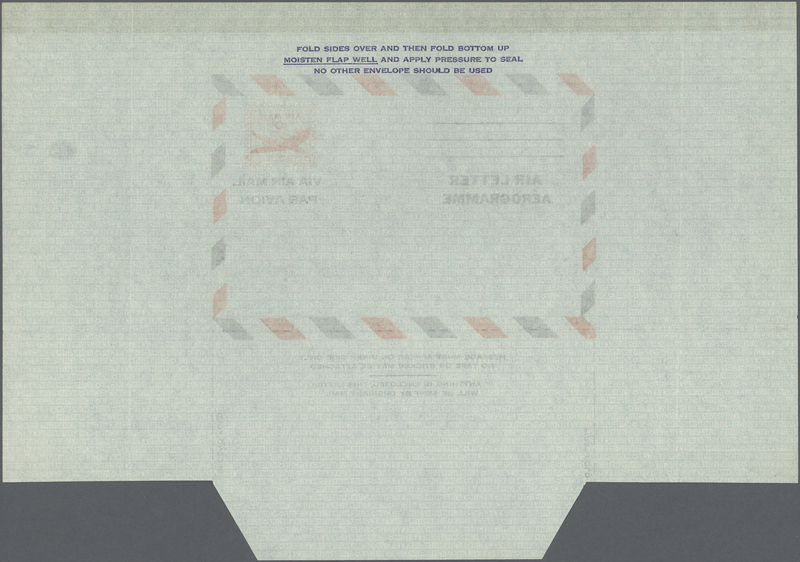 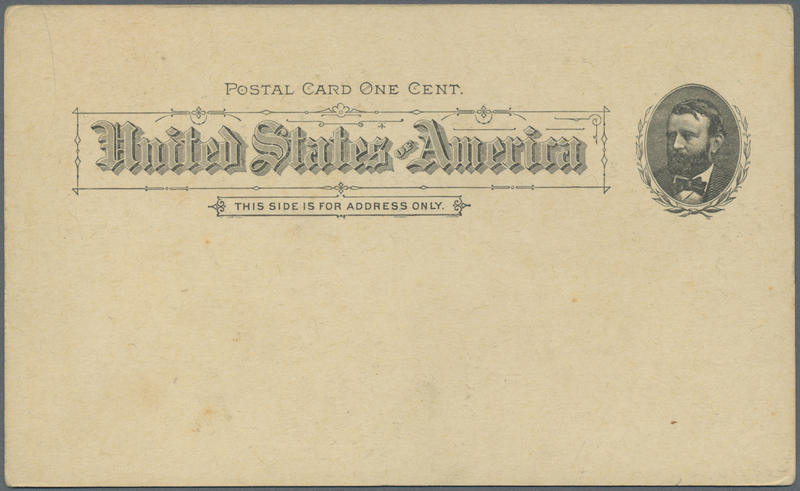 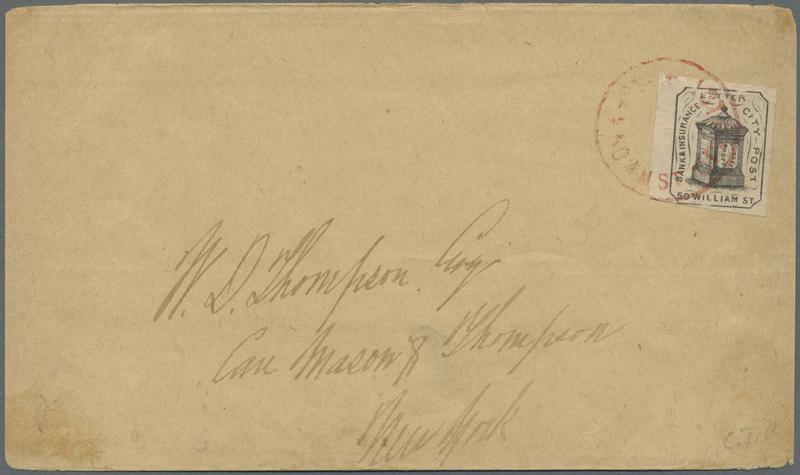 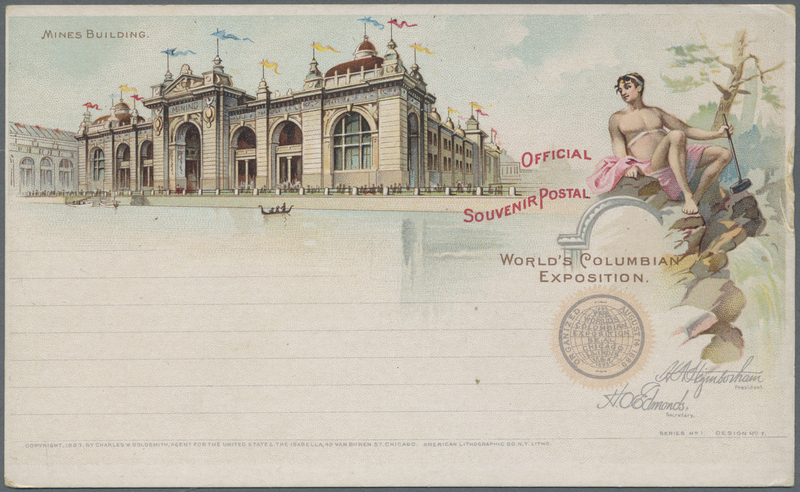 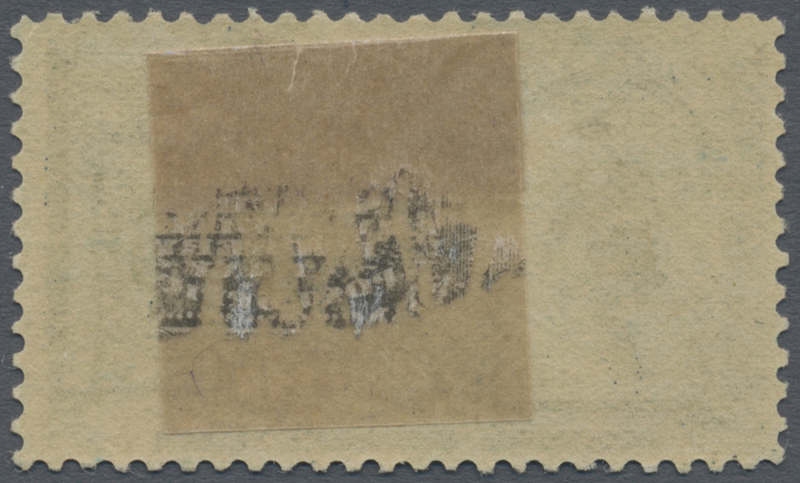 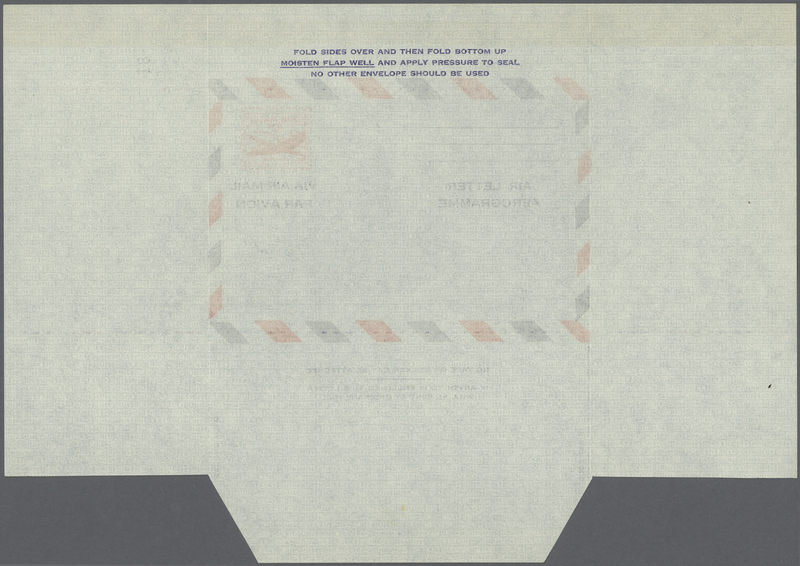 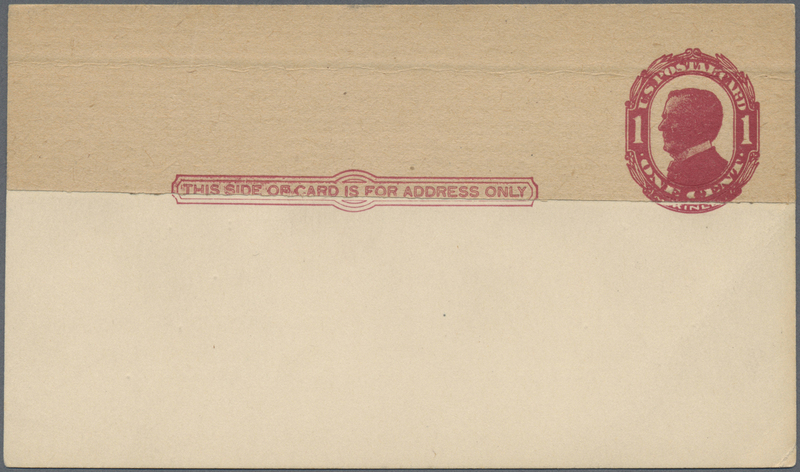 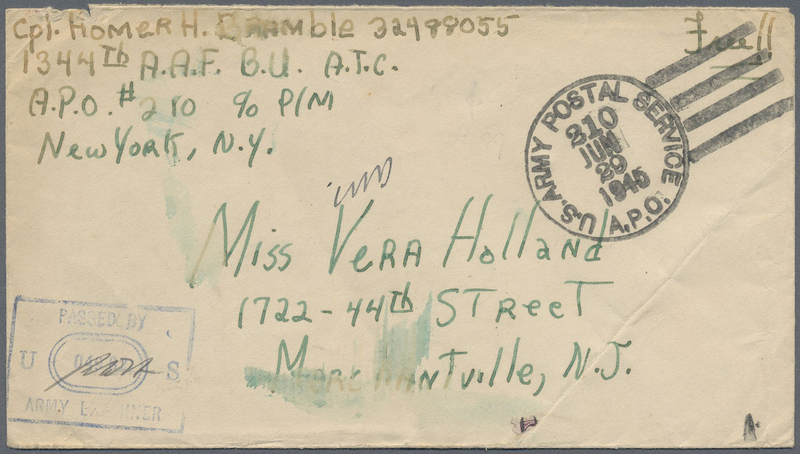 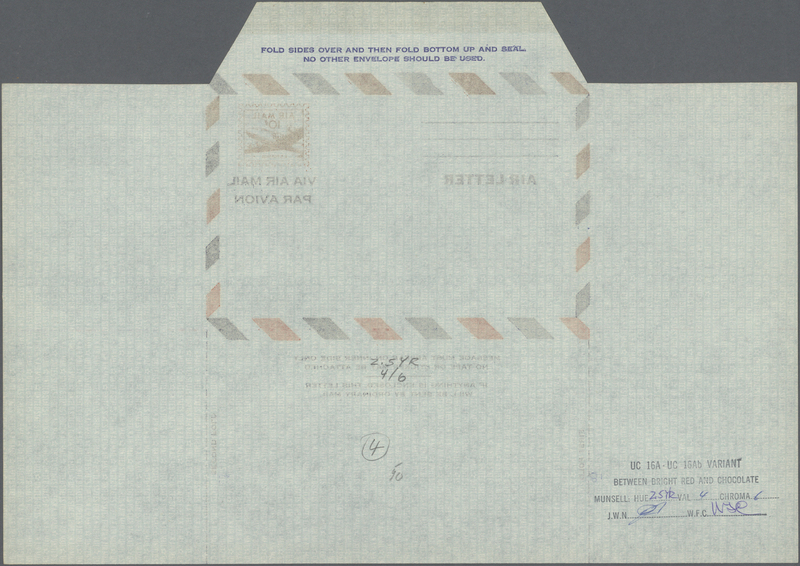 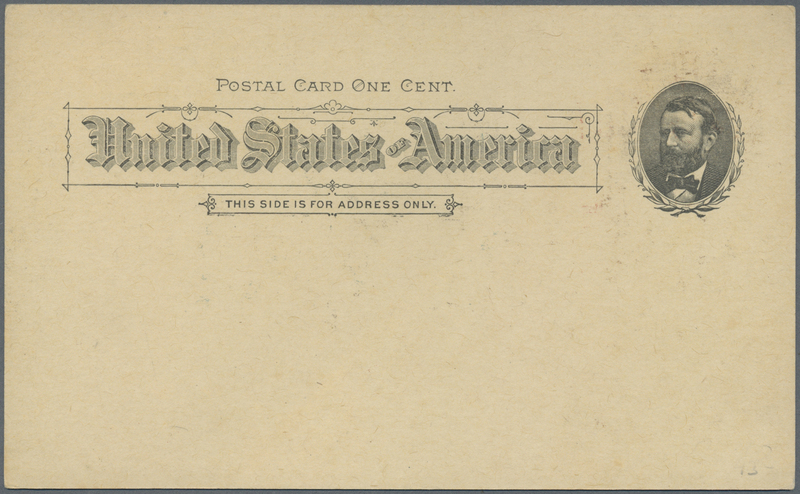 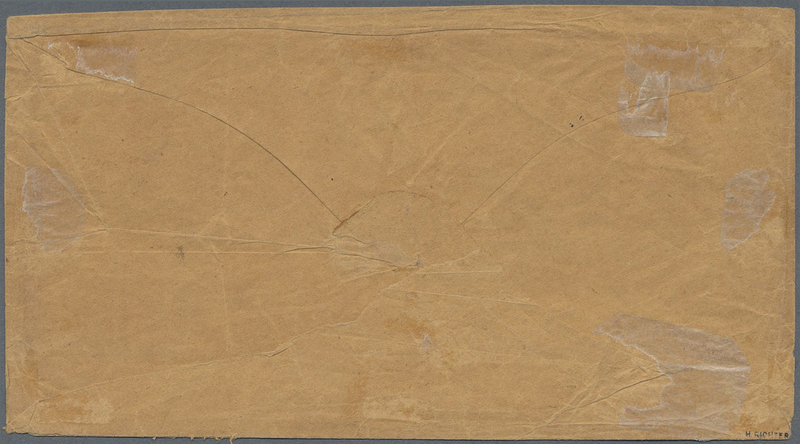 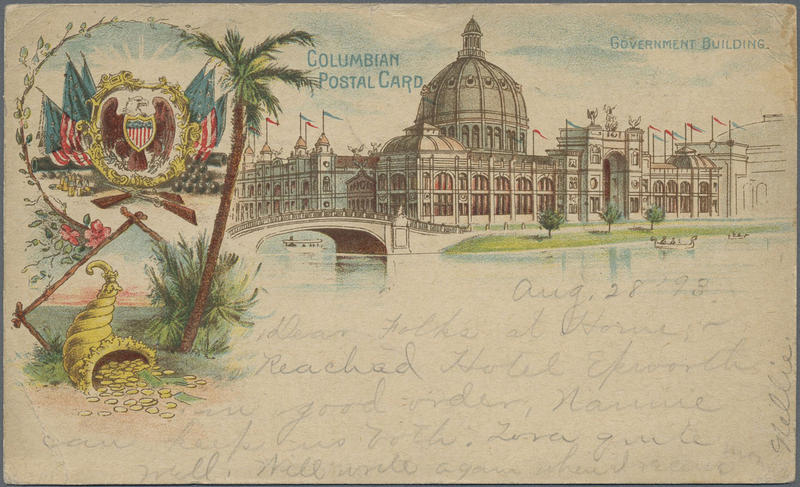 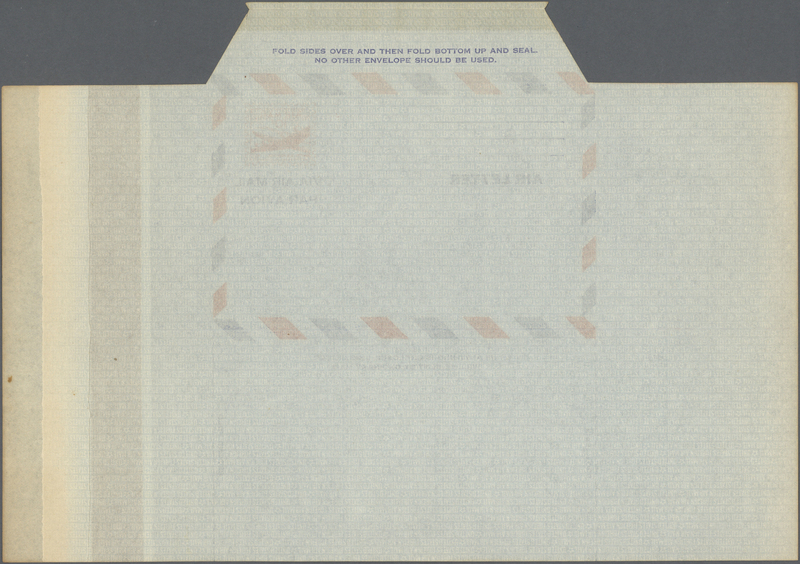 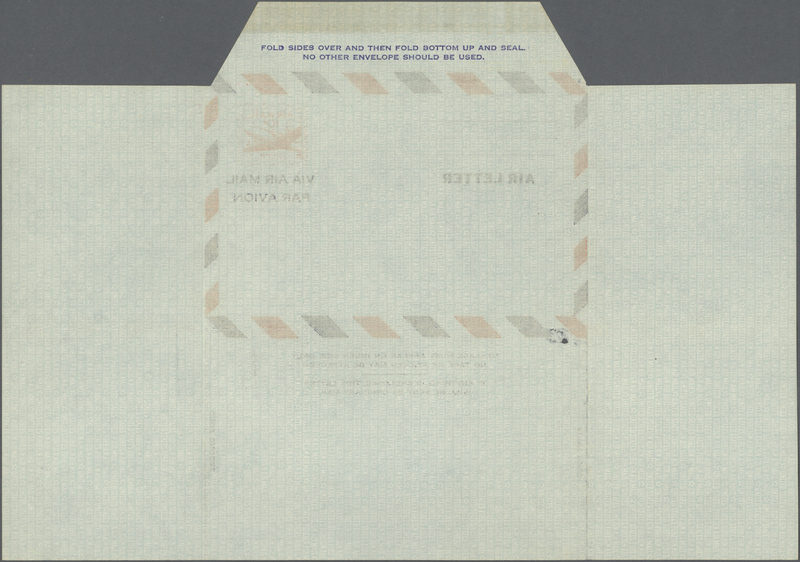 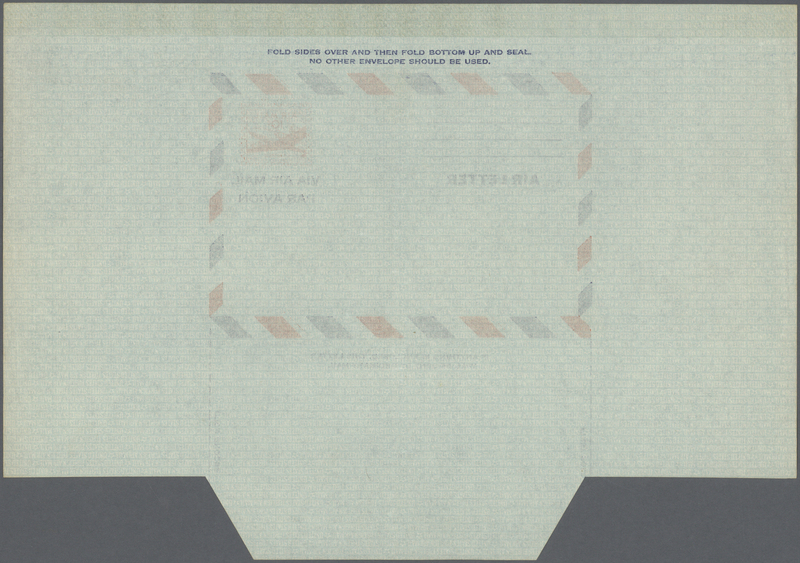 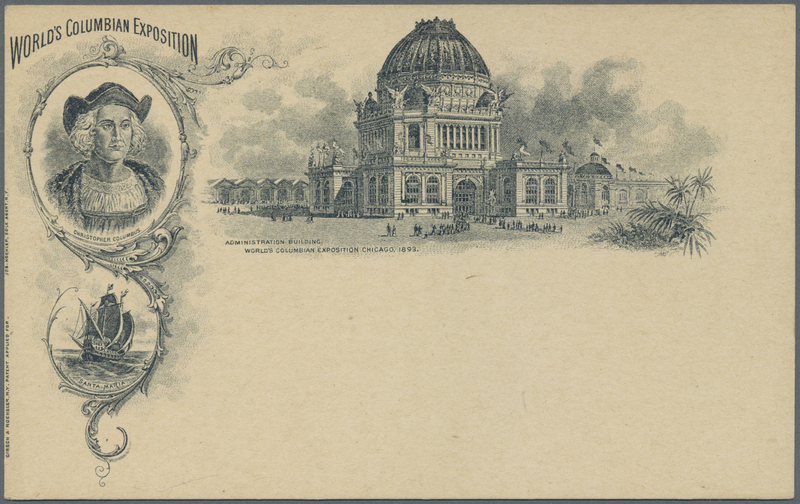 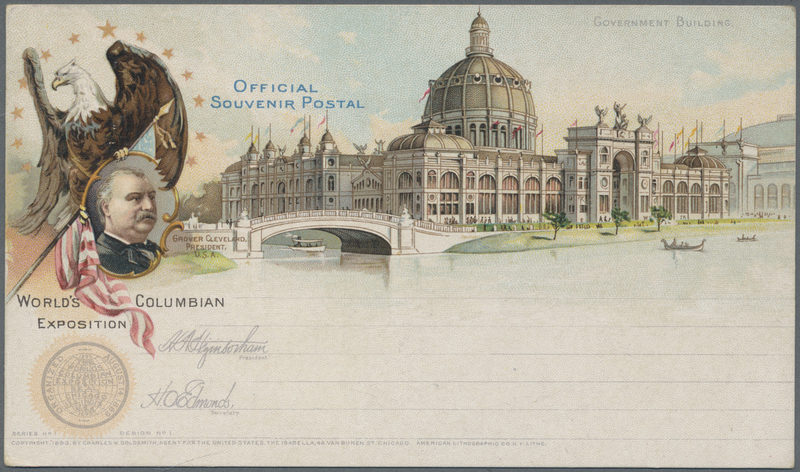 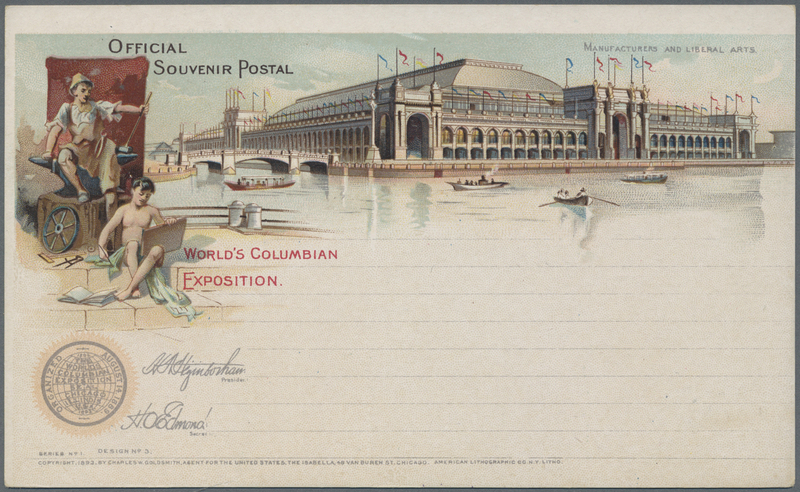 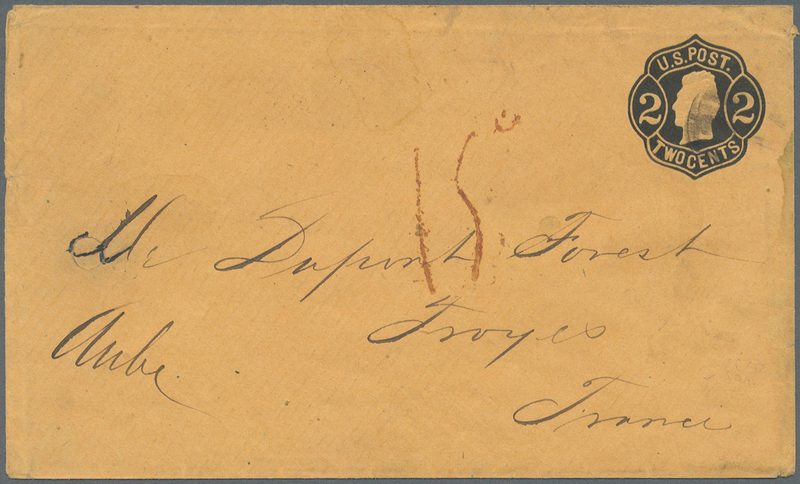 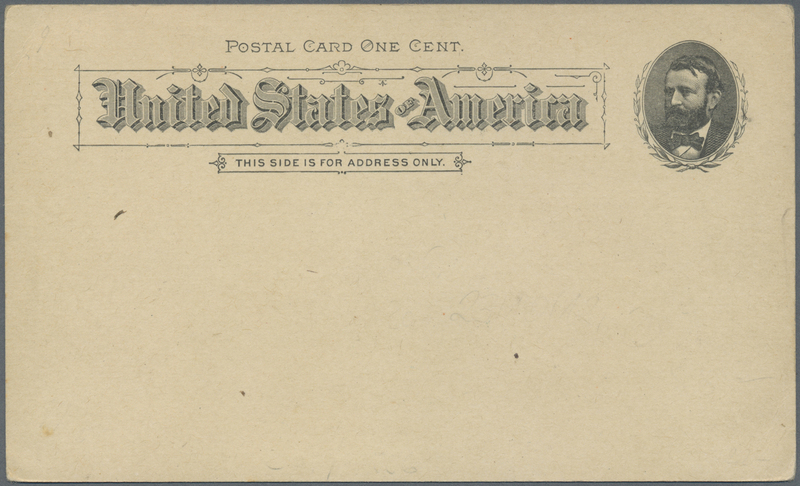 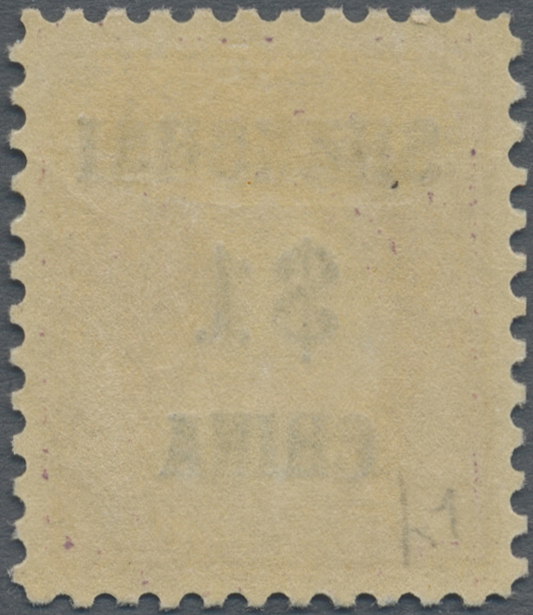 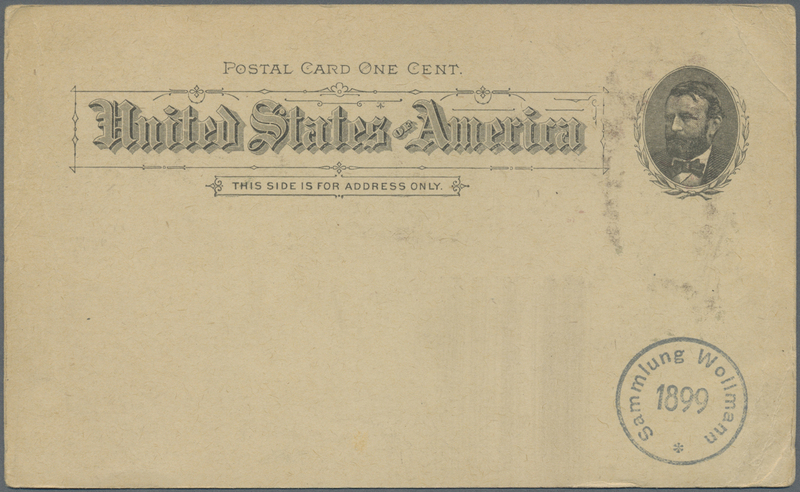 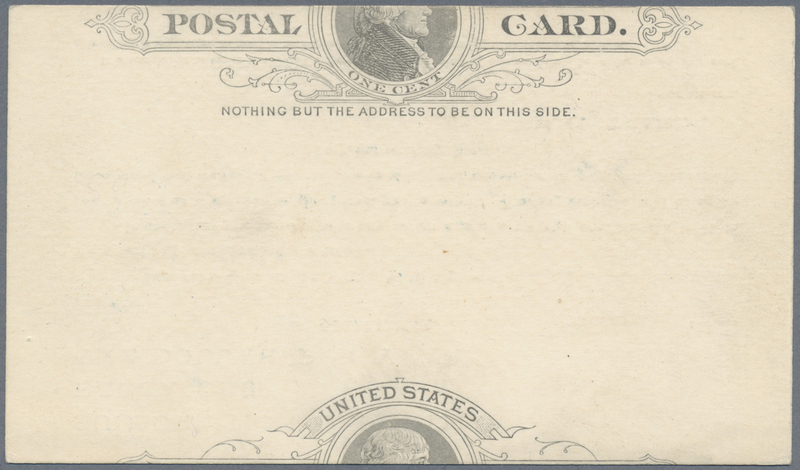 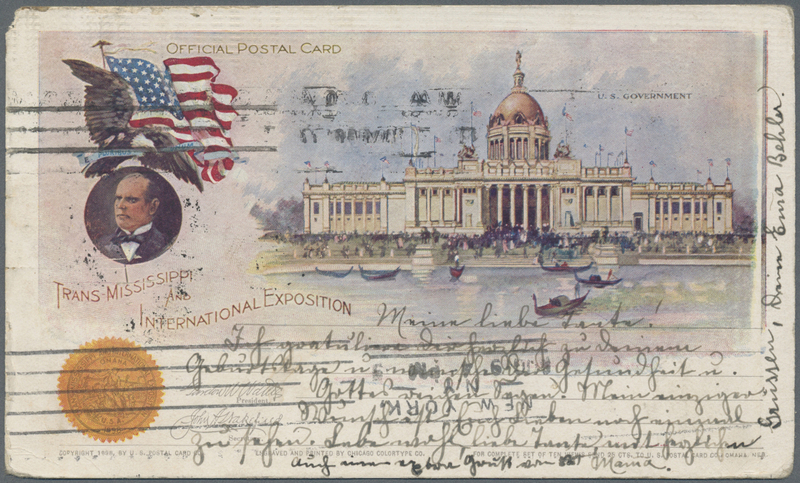 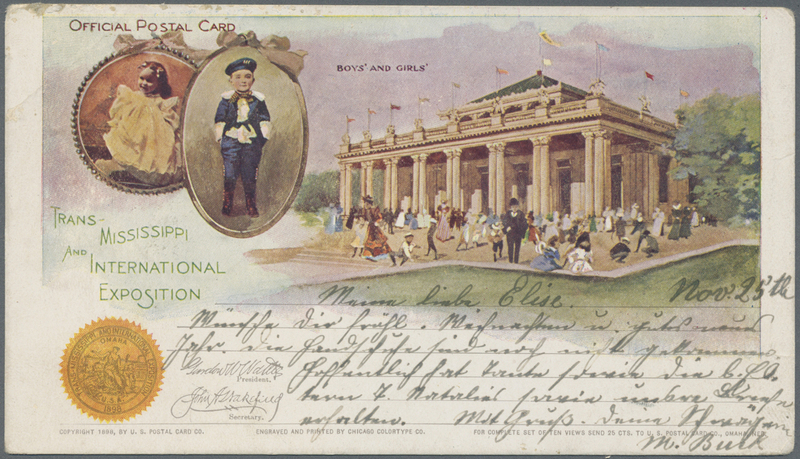 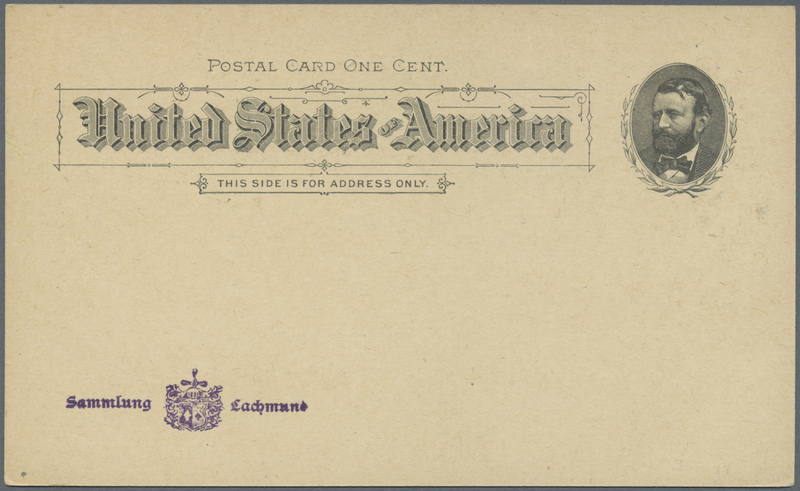 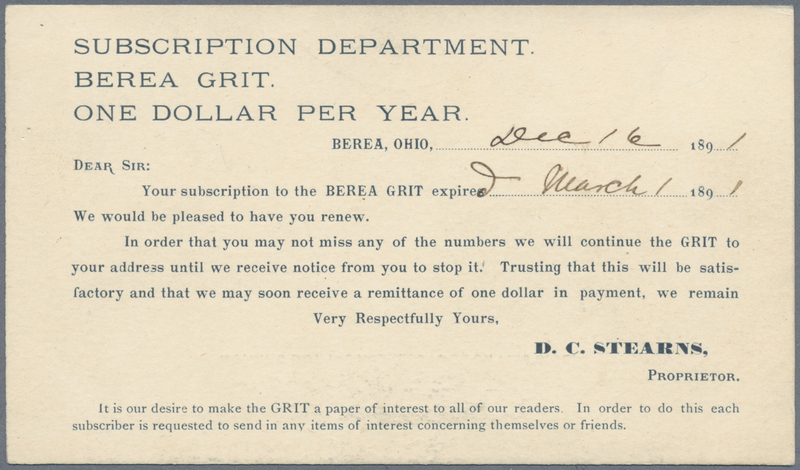 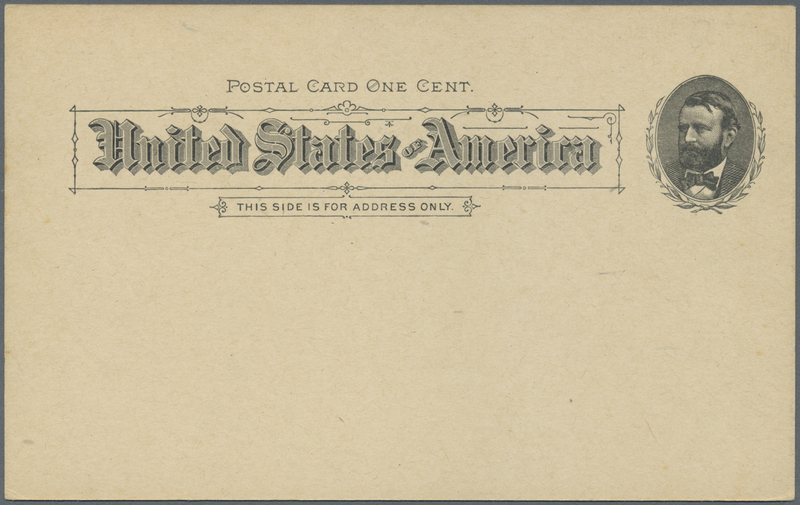 Used Columbian postal card (Government Building). 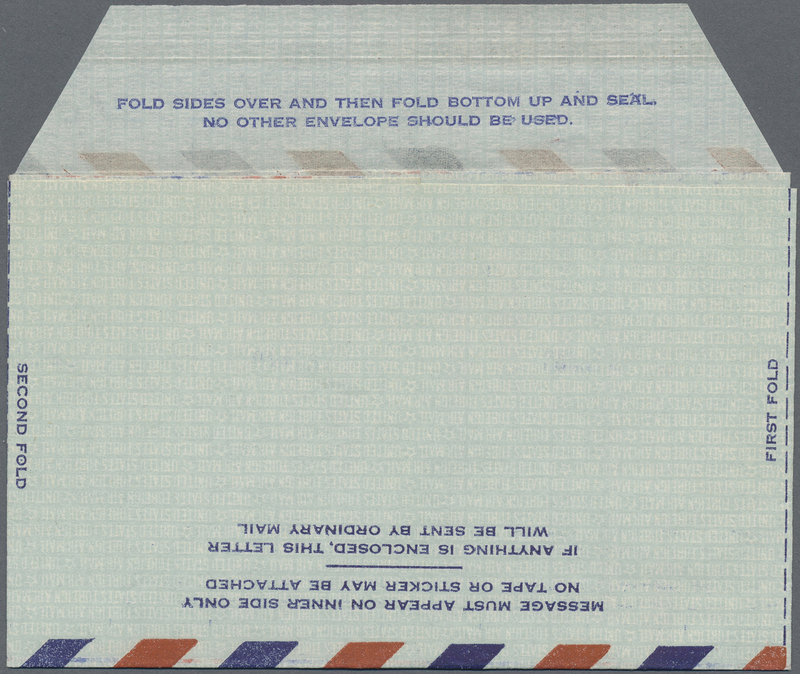 Some slight corner creases. 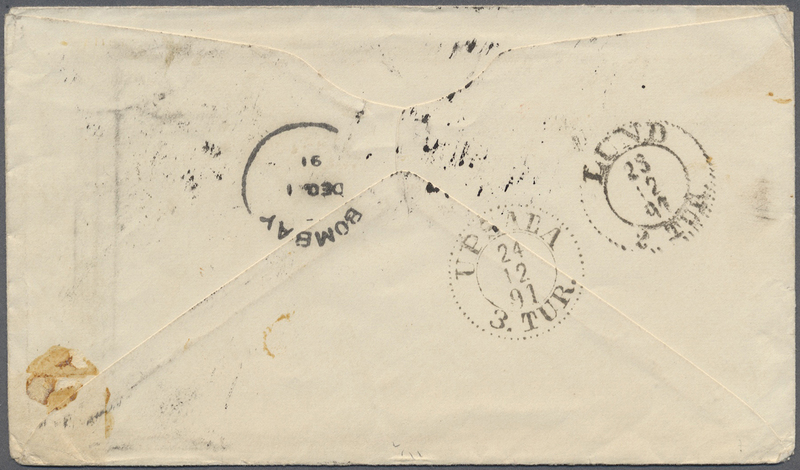 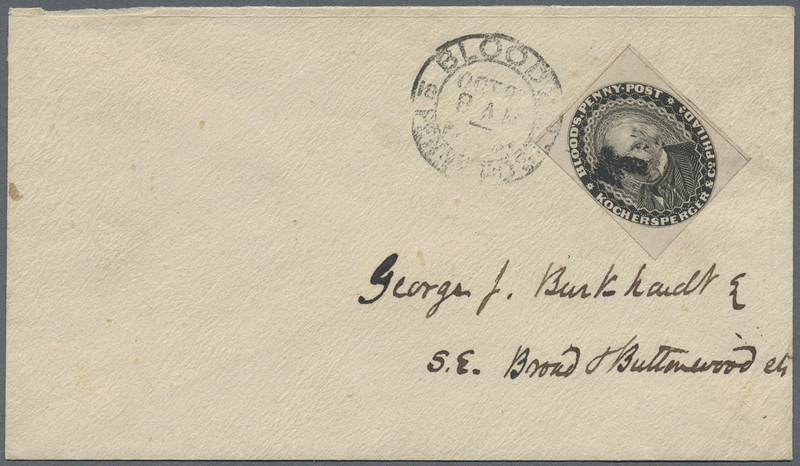 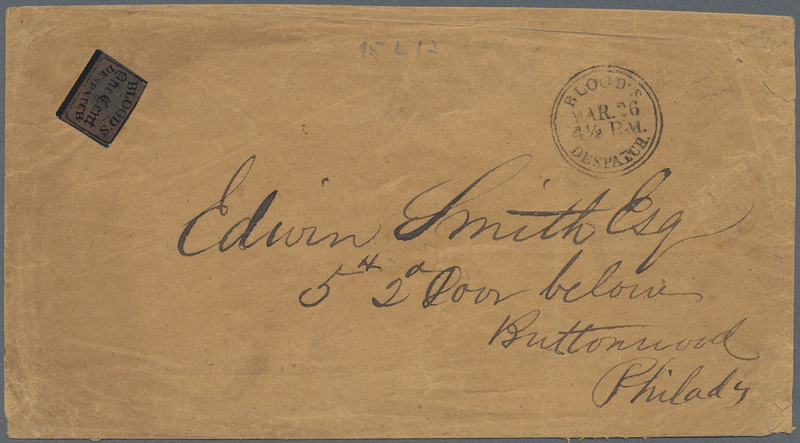 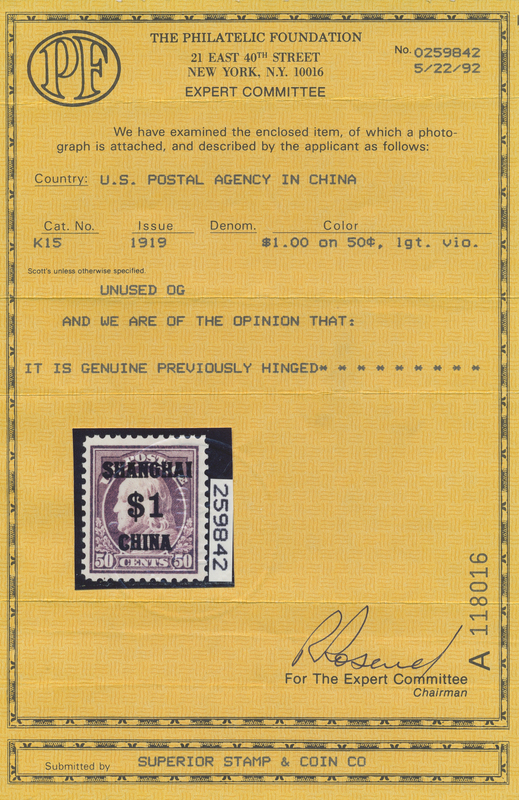 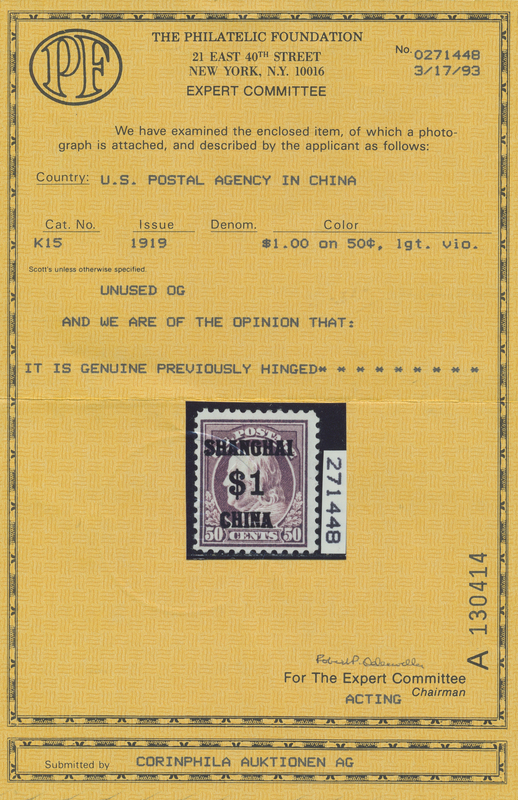 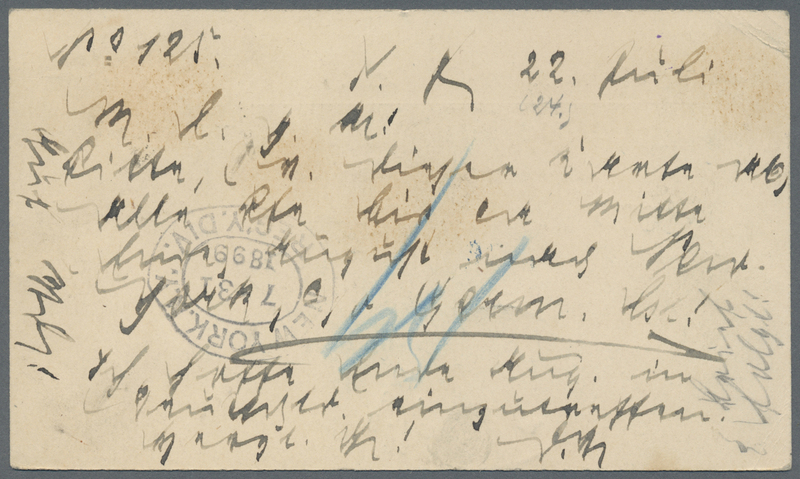 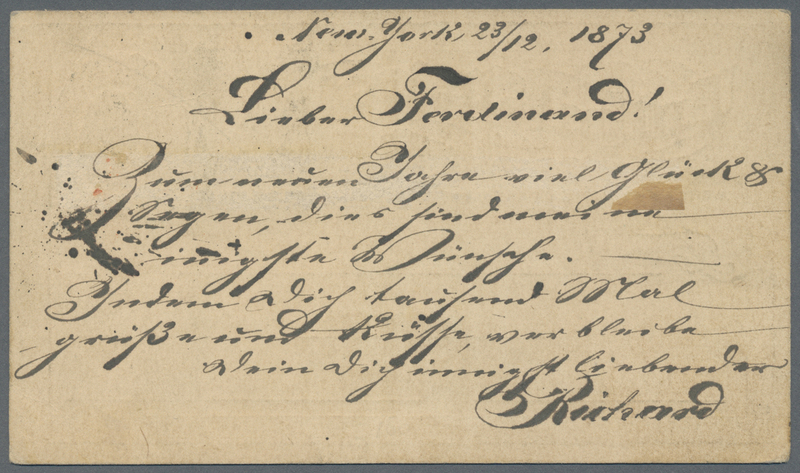 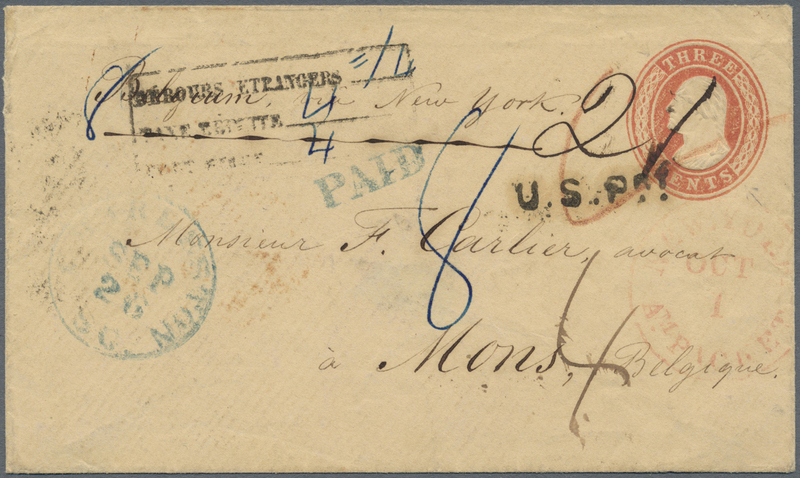 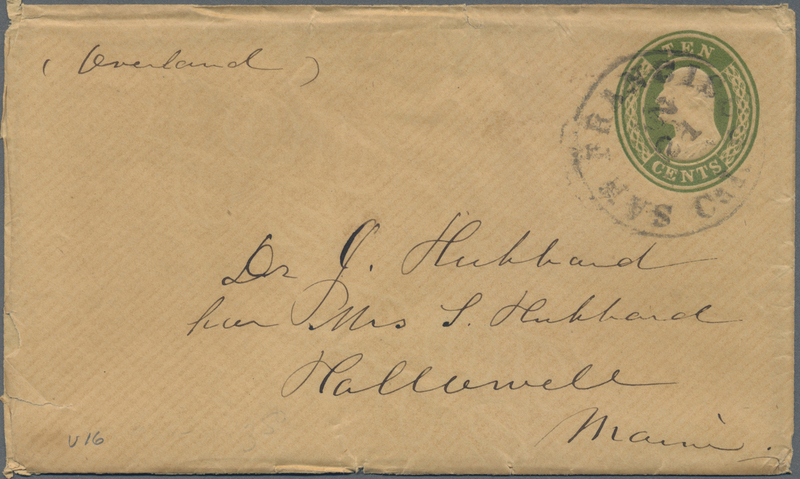 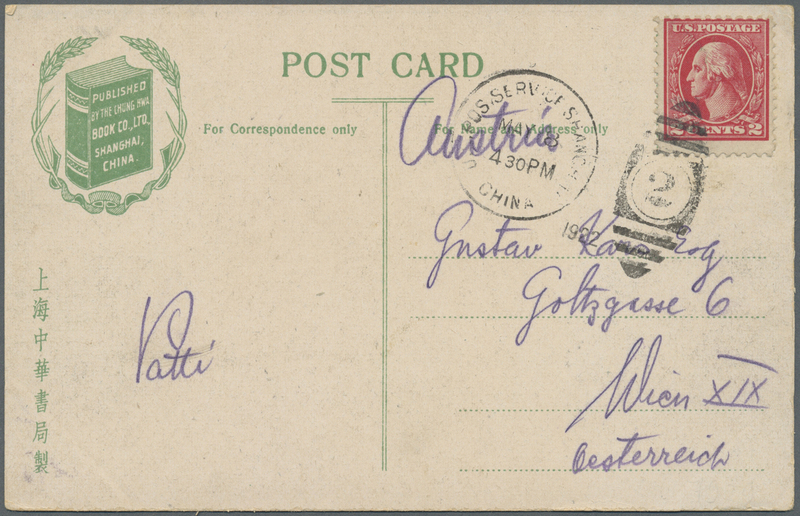 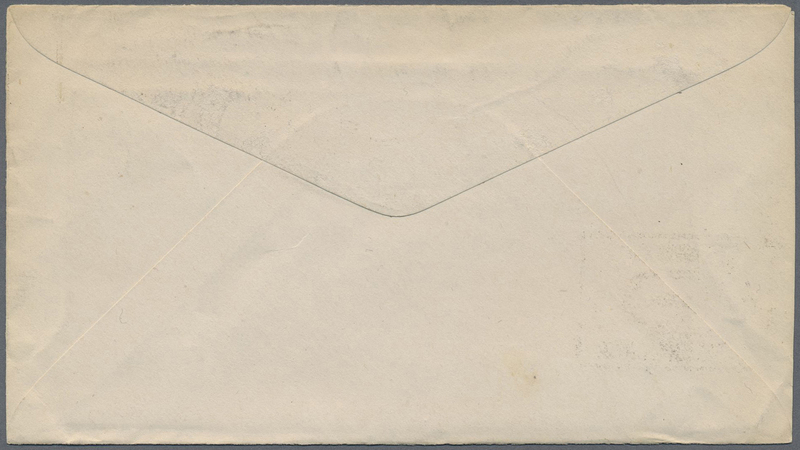 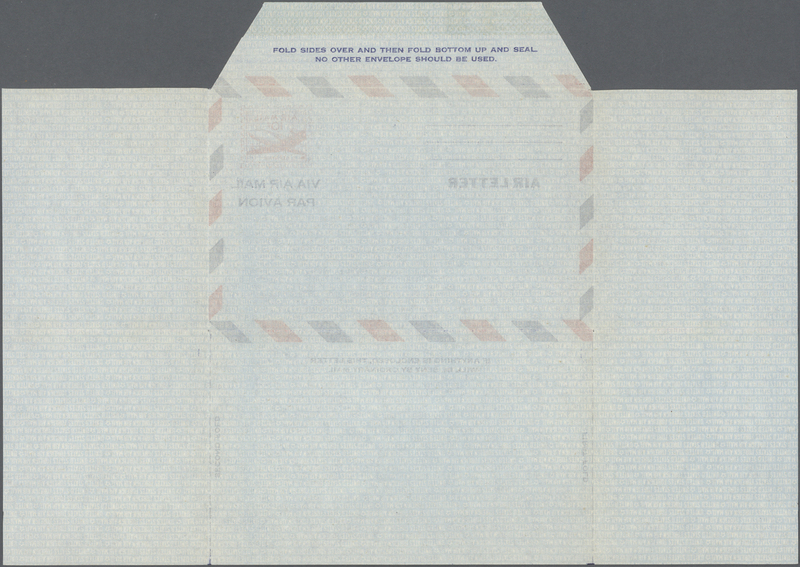 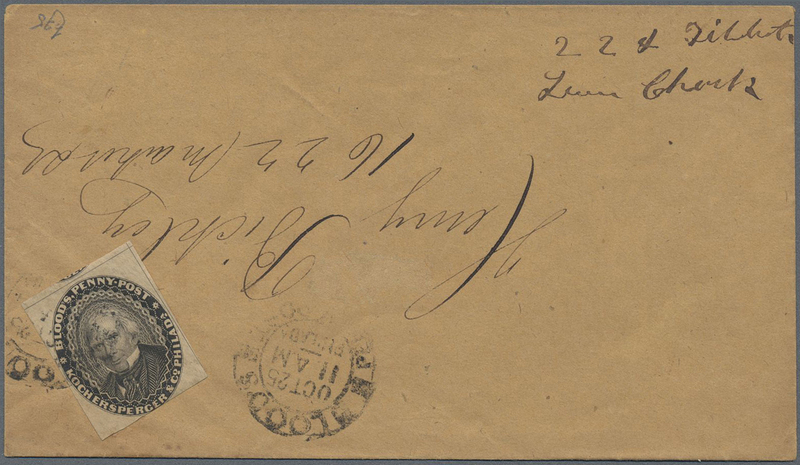 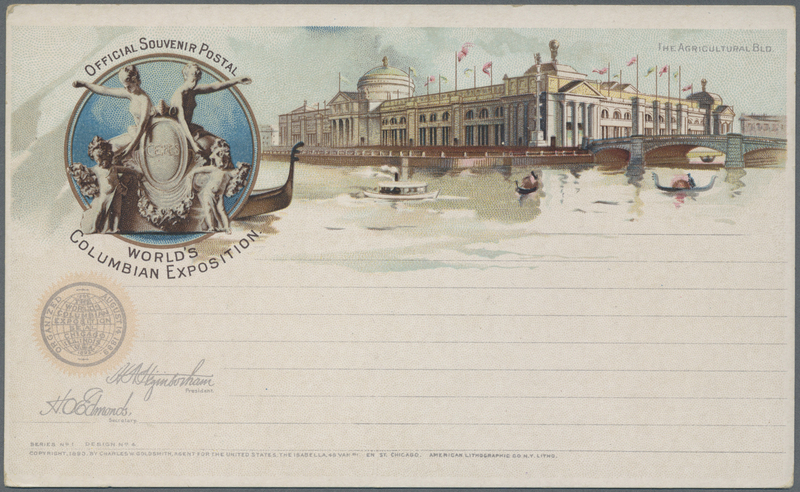 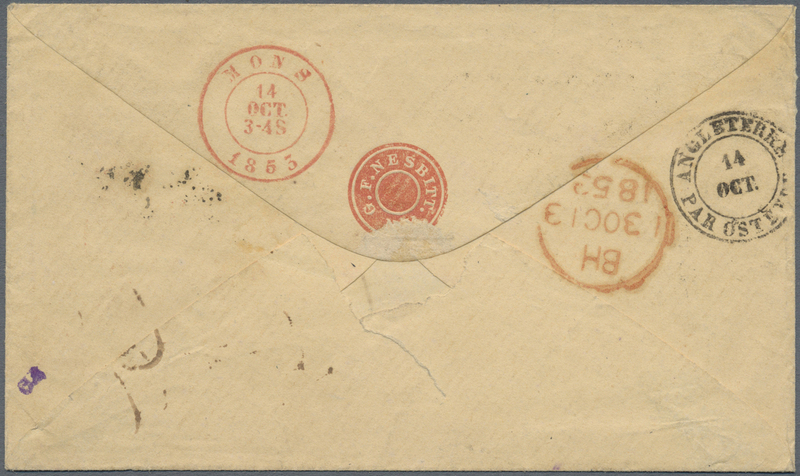 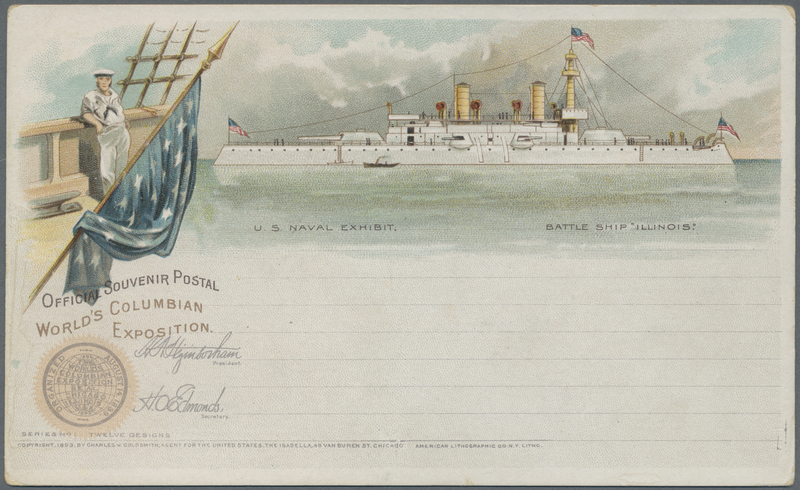 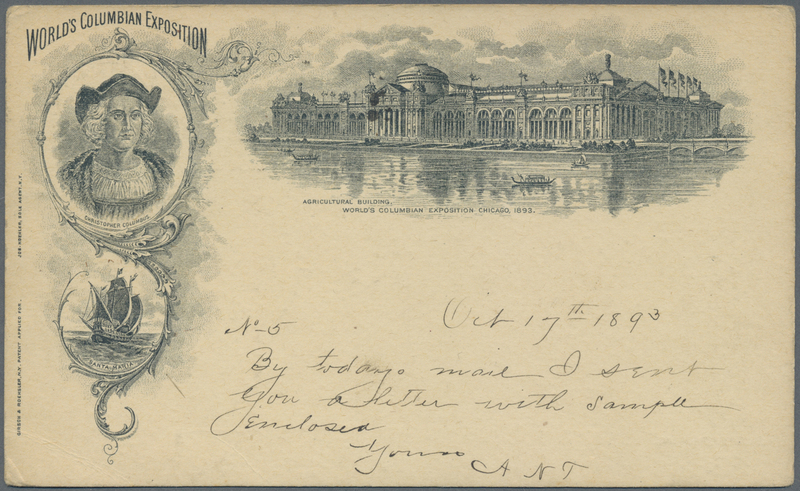 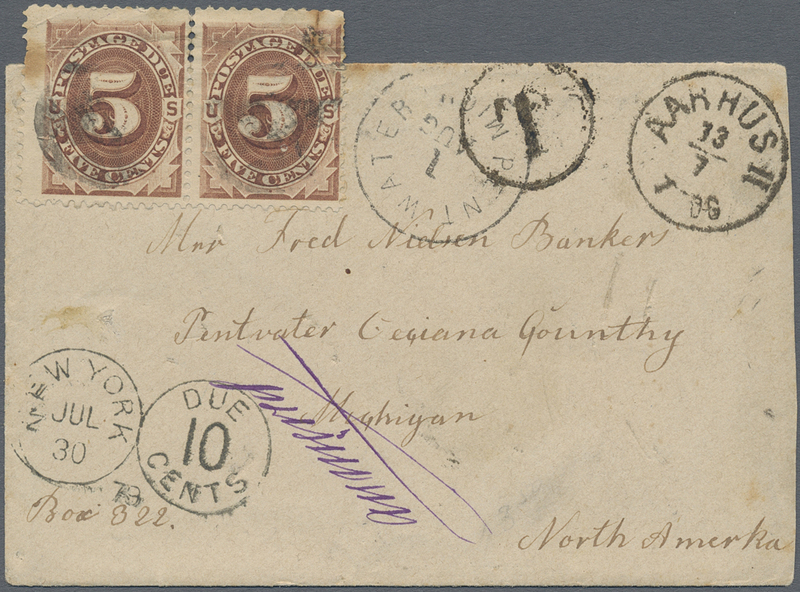 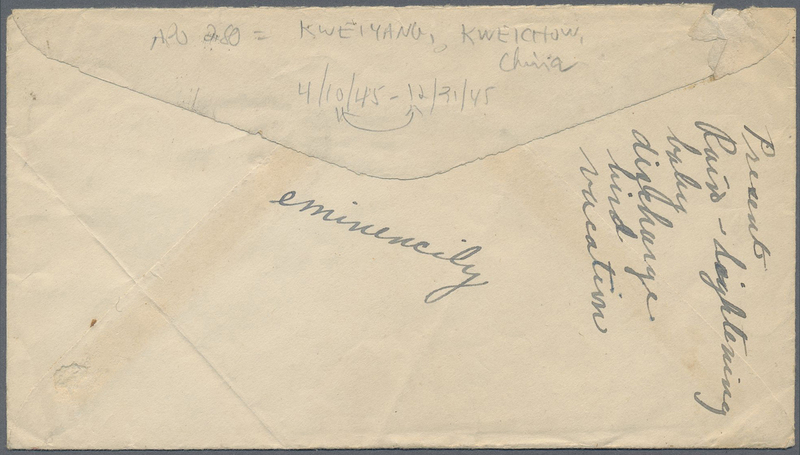 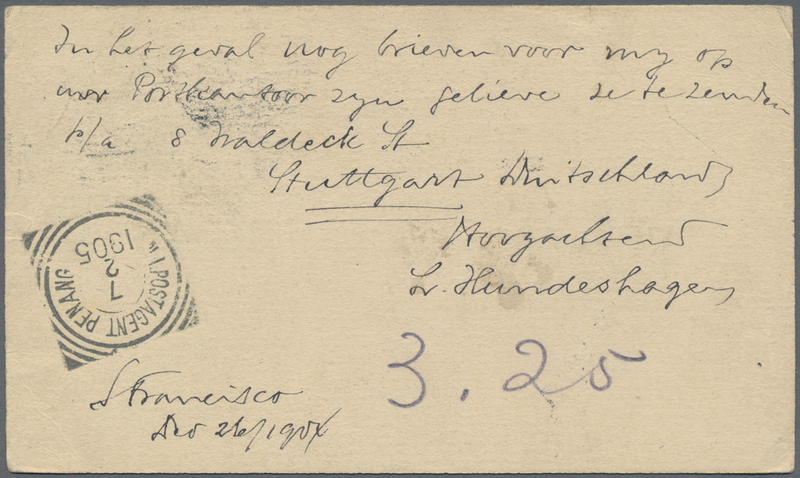 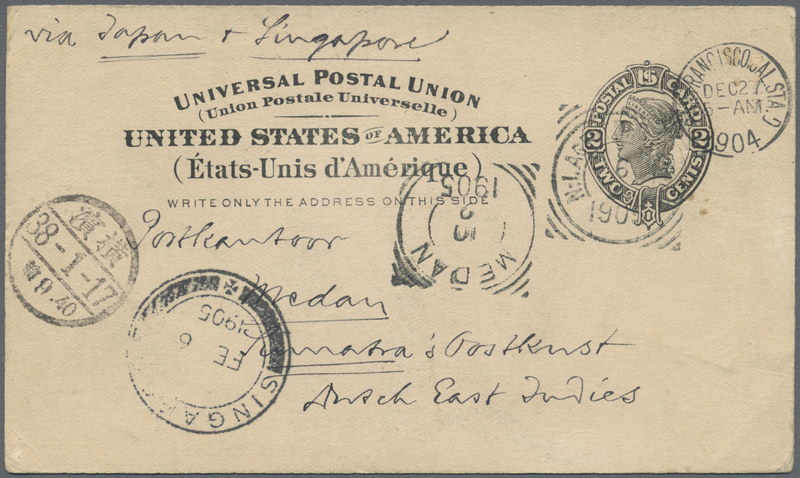 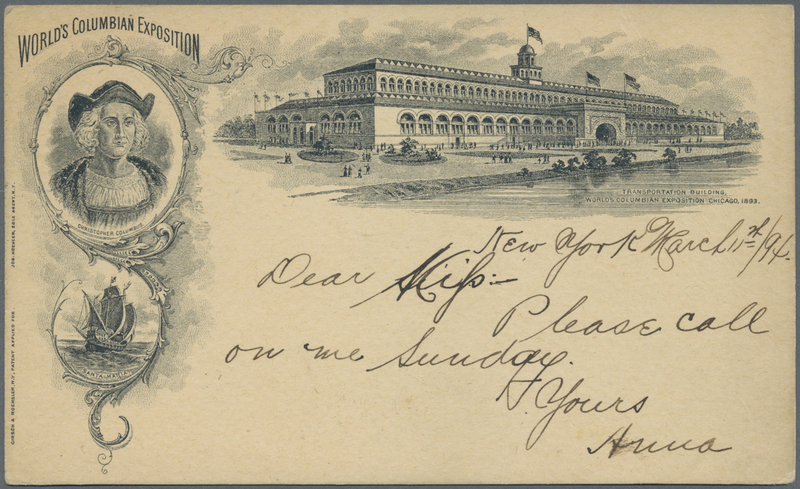 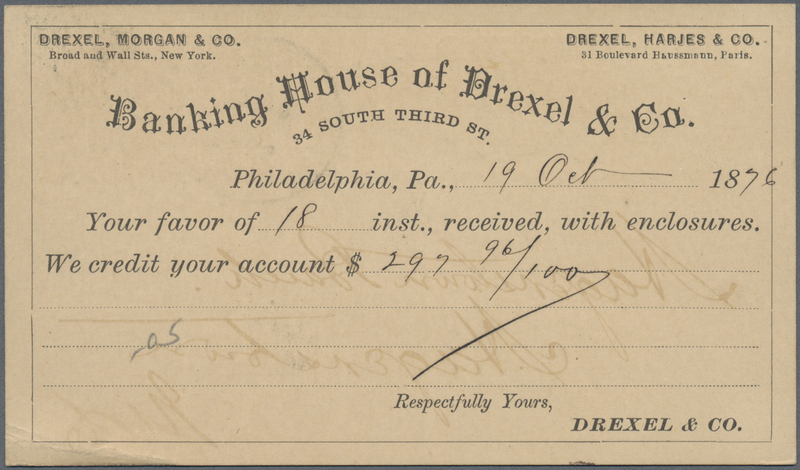 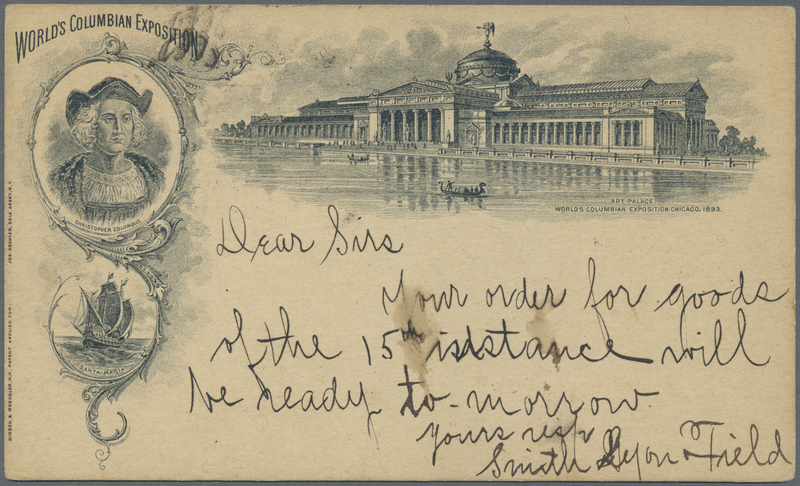 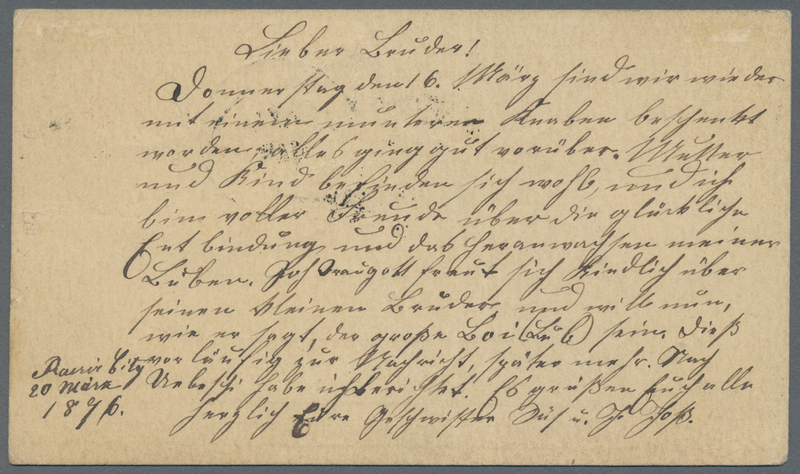 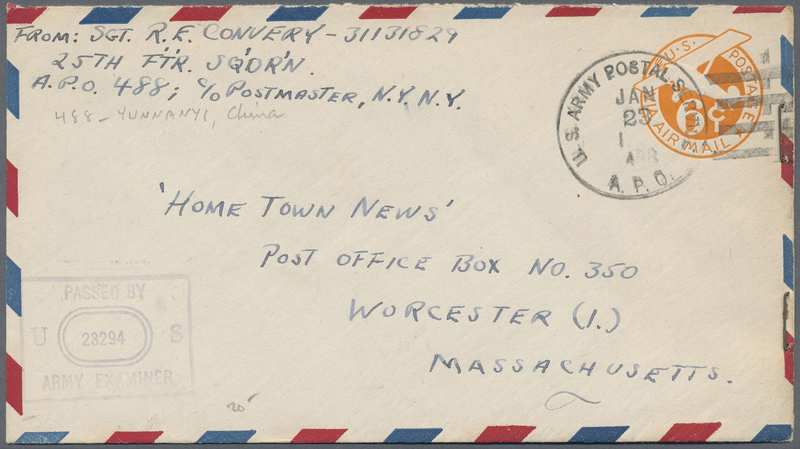 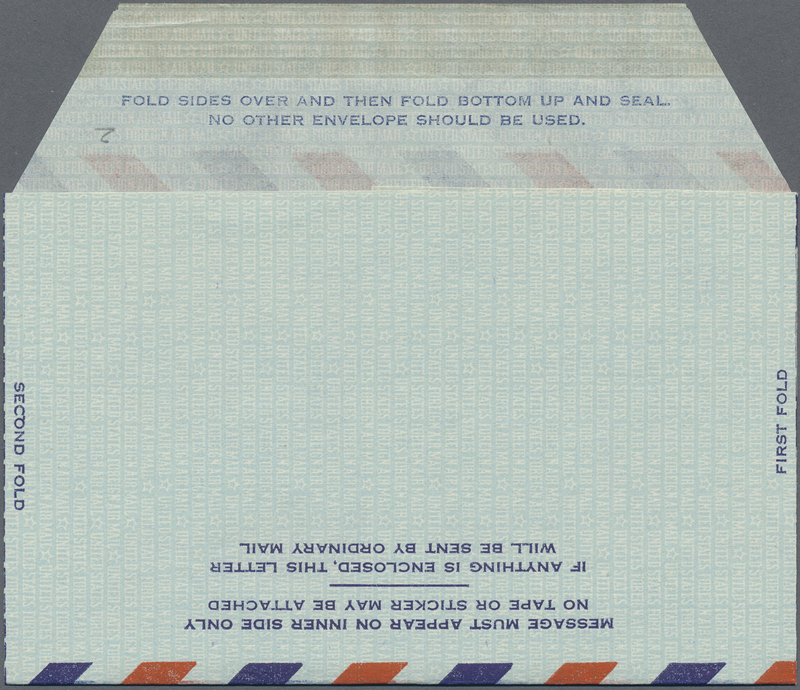 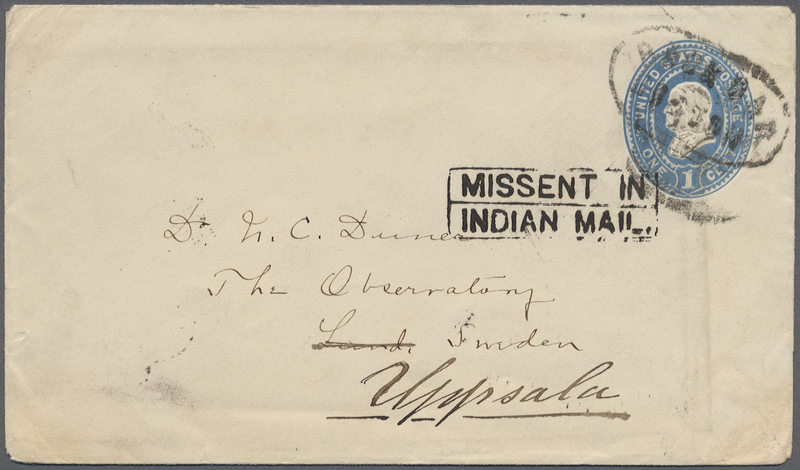 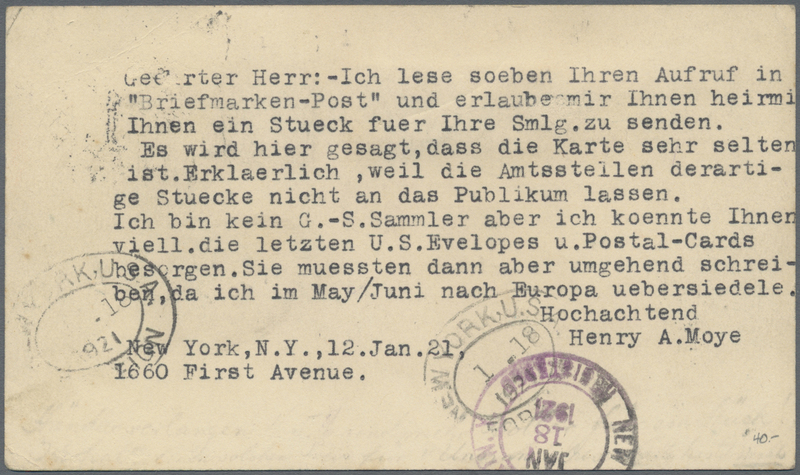 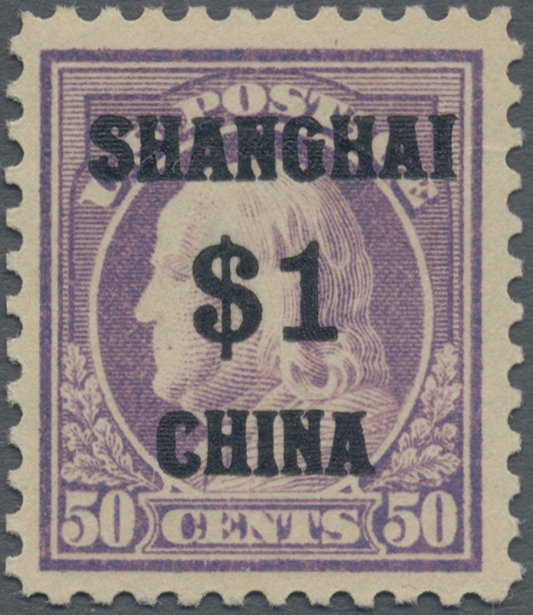 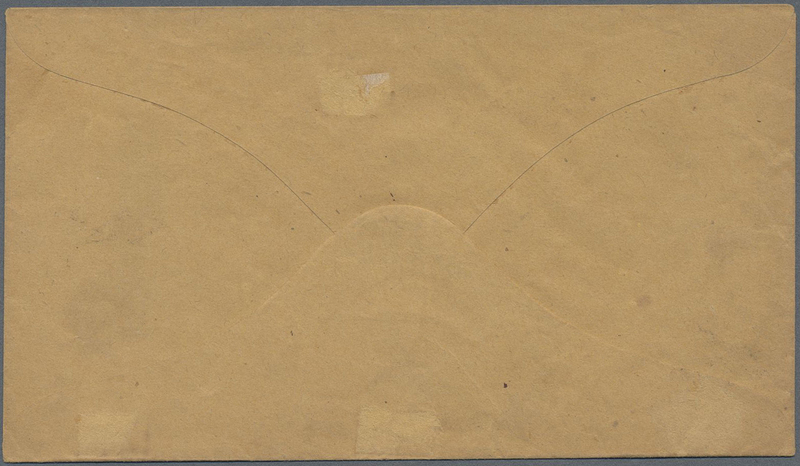 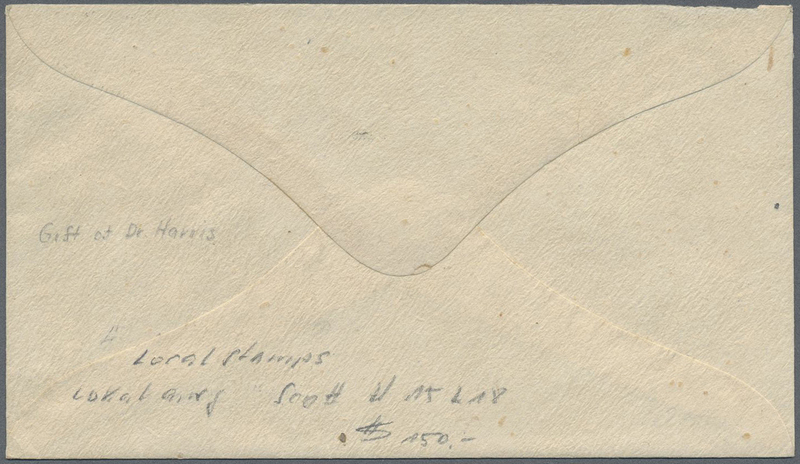 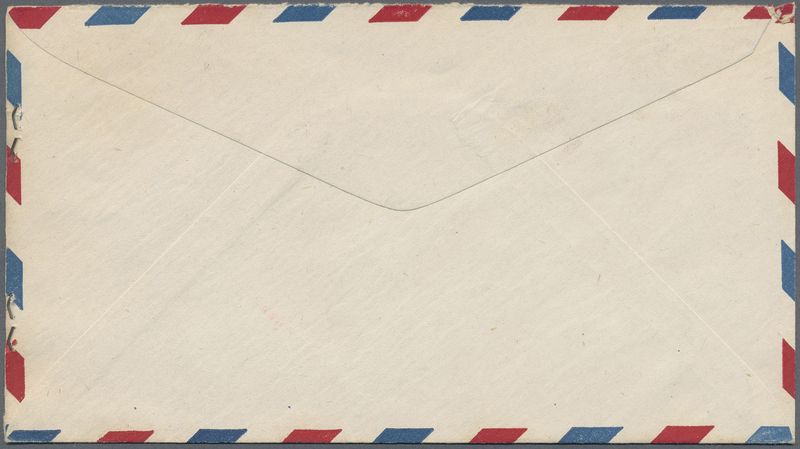 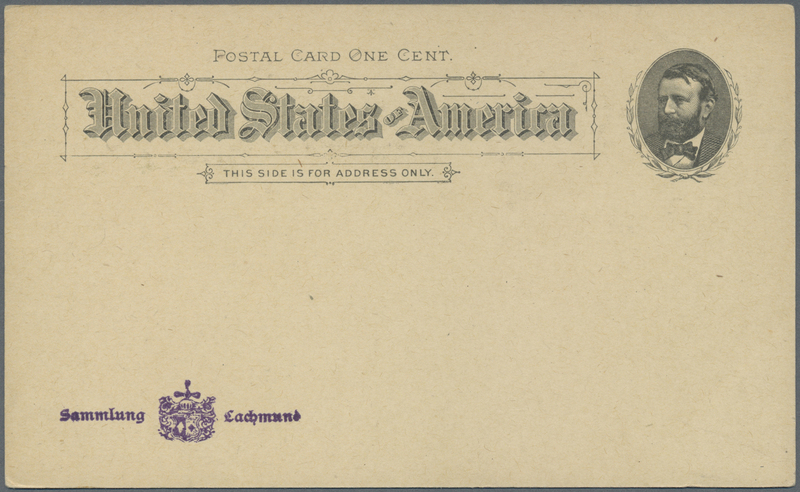 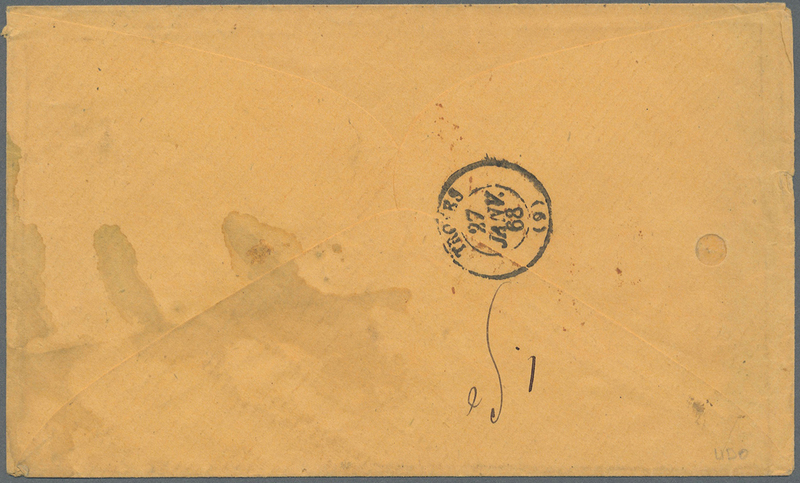 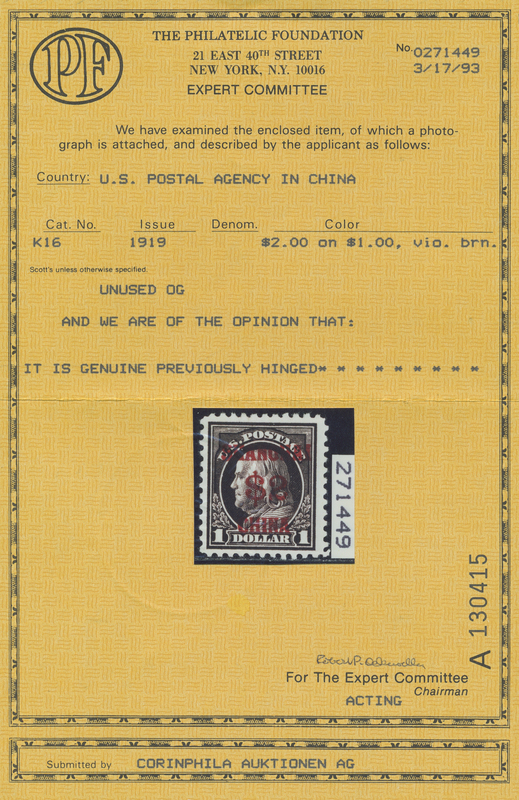 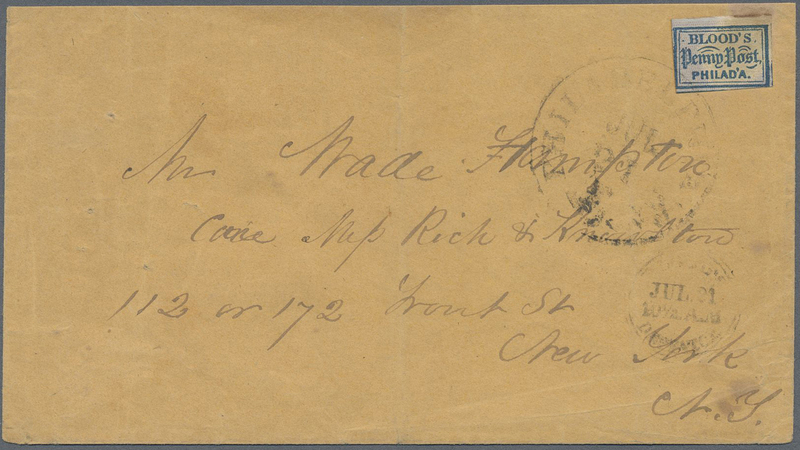 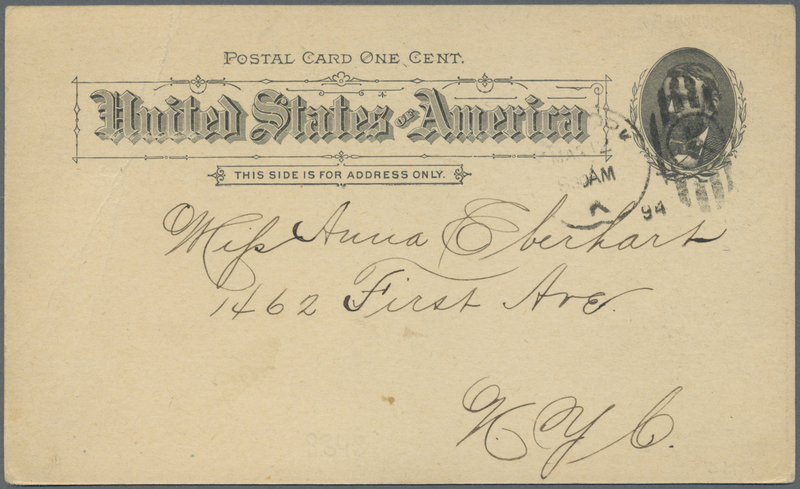 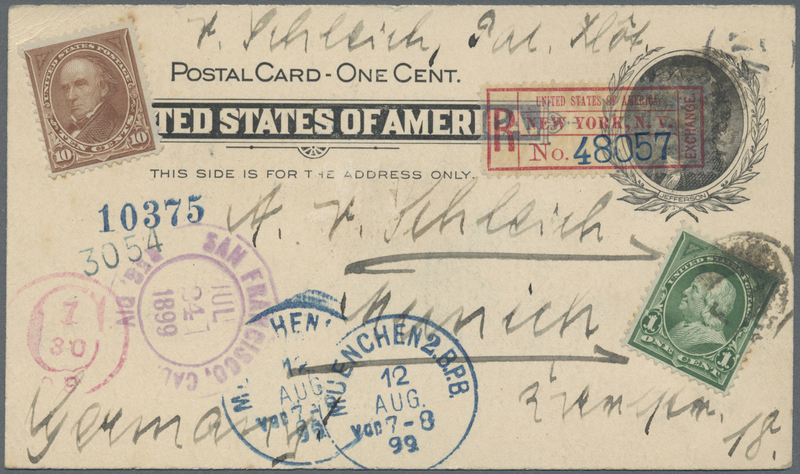 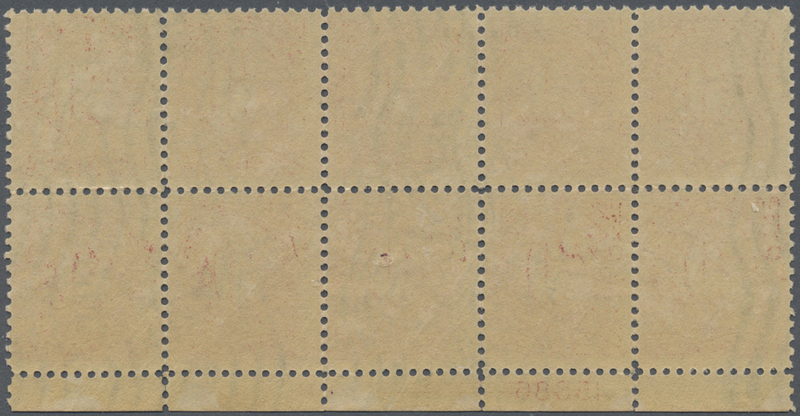 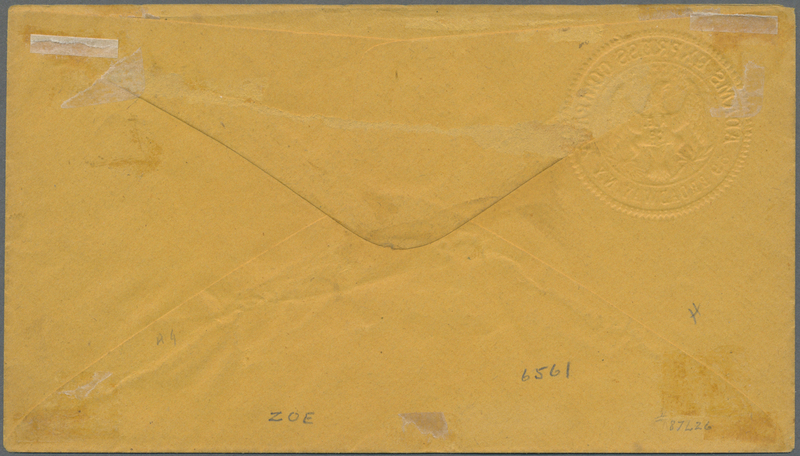 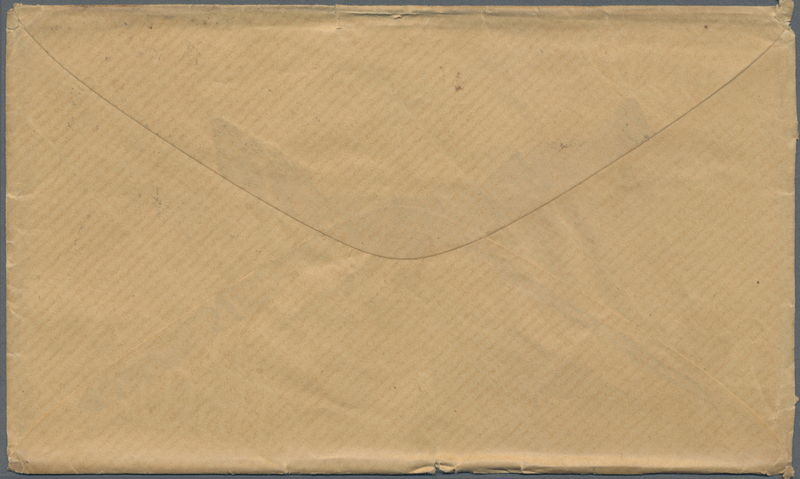 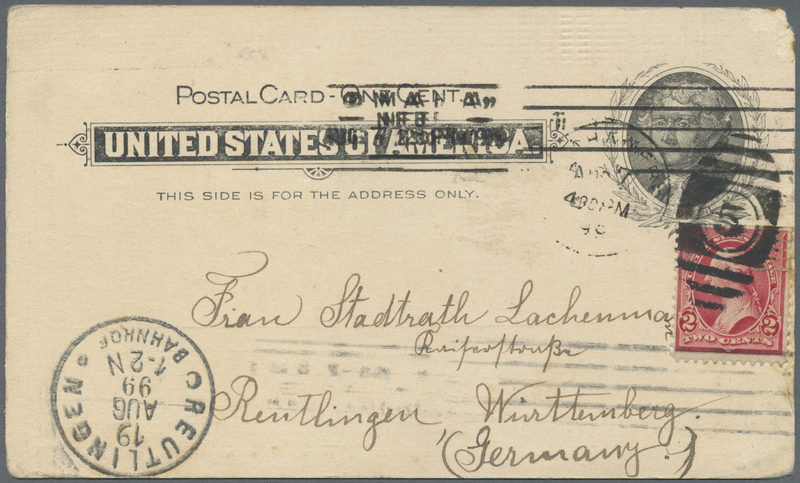 13099 Ganzsache (Complete) 1894, 10 C. postal stationery envelope uprated with 3 C. violet, used registered "AR" from "CHICAGO" via New York to Turkey in Asia, folded, rare destination and usage! 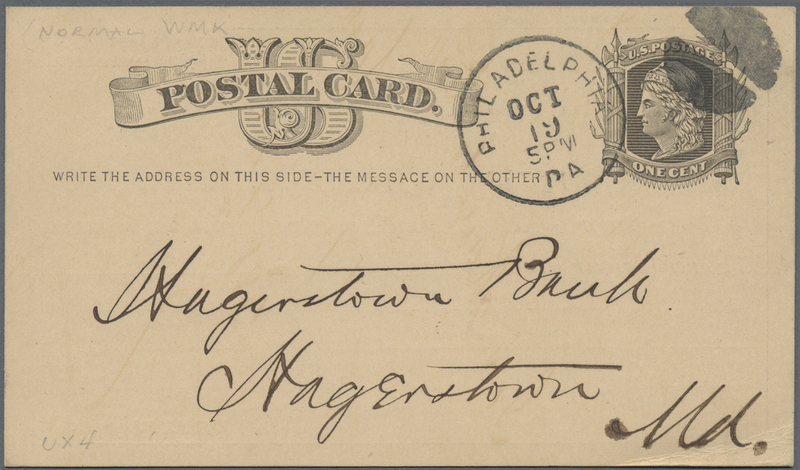 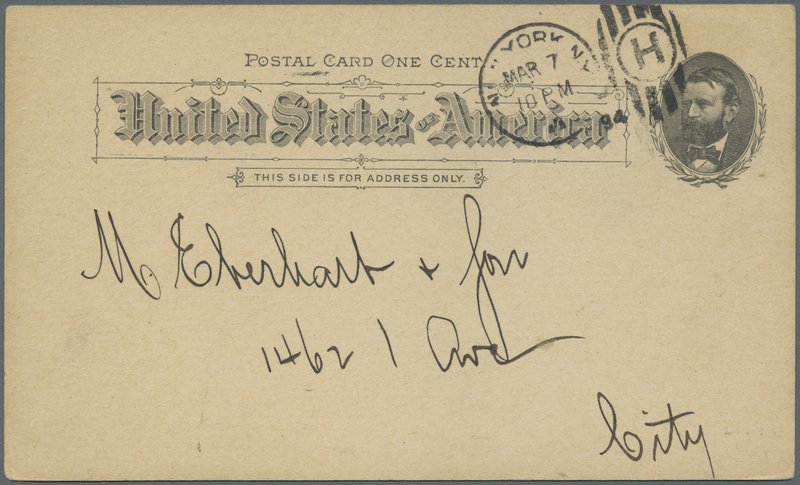 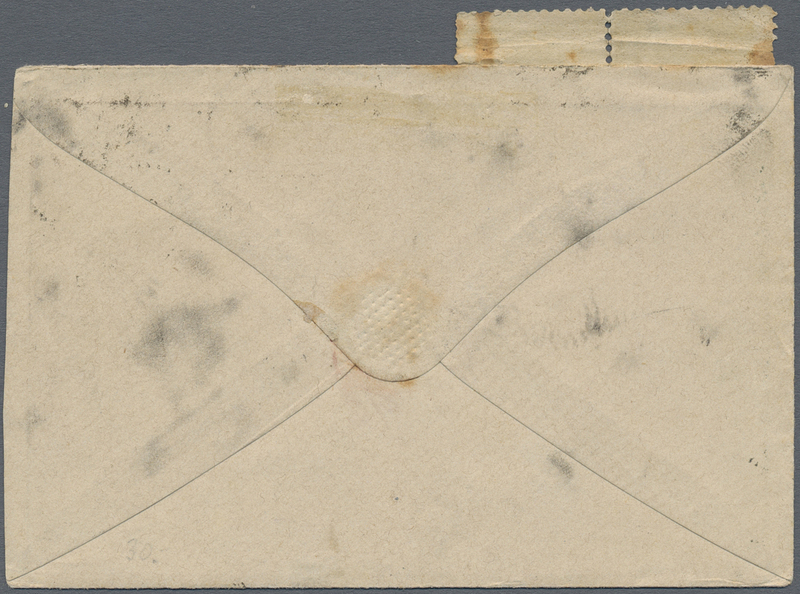 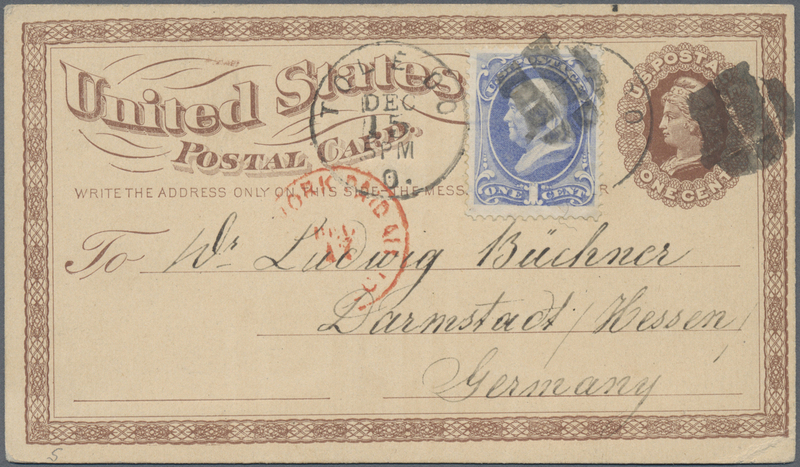 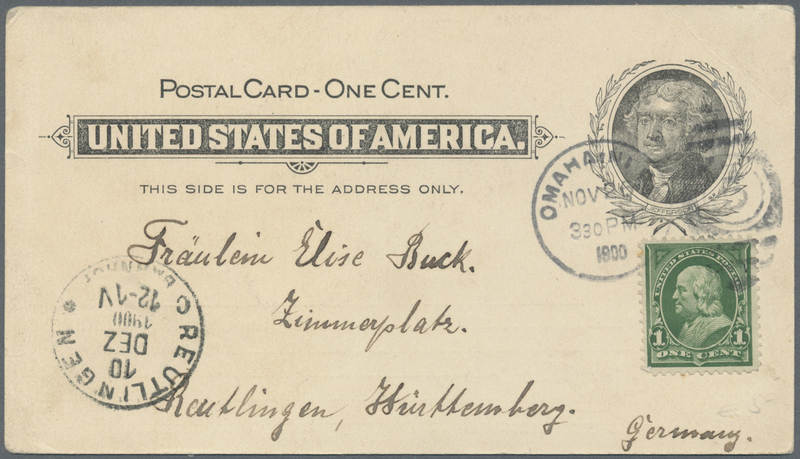 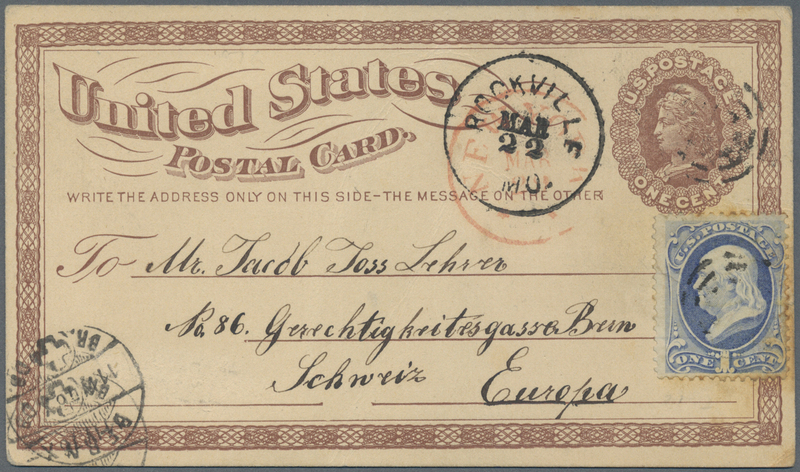 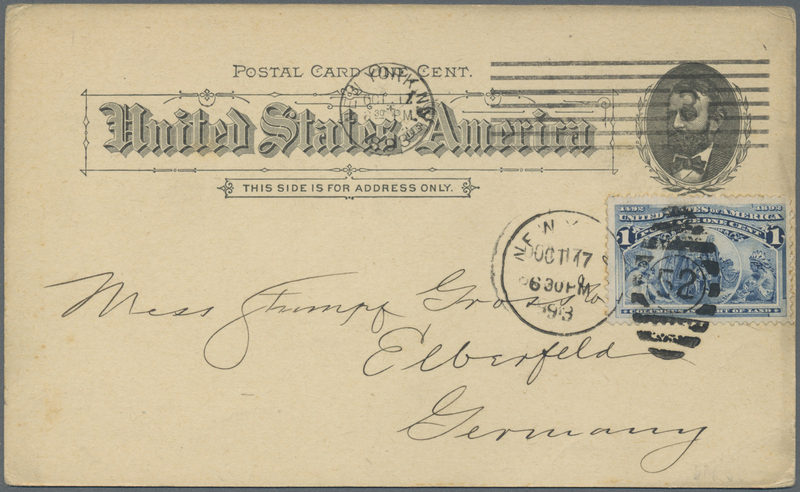 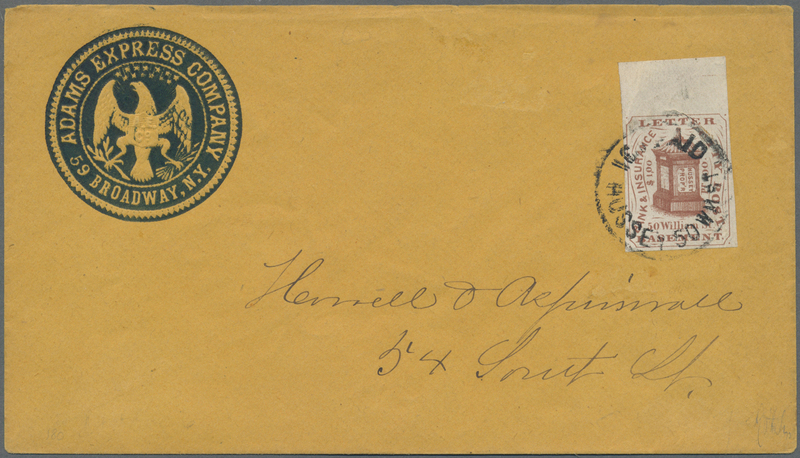 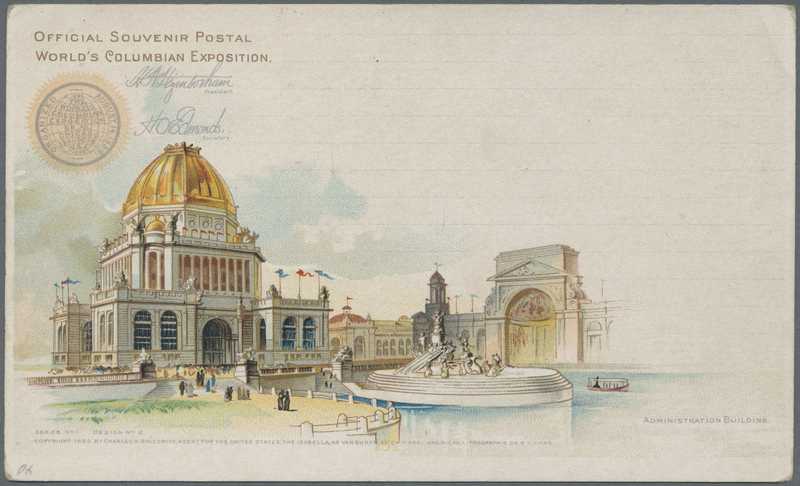 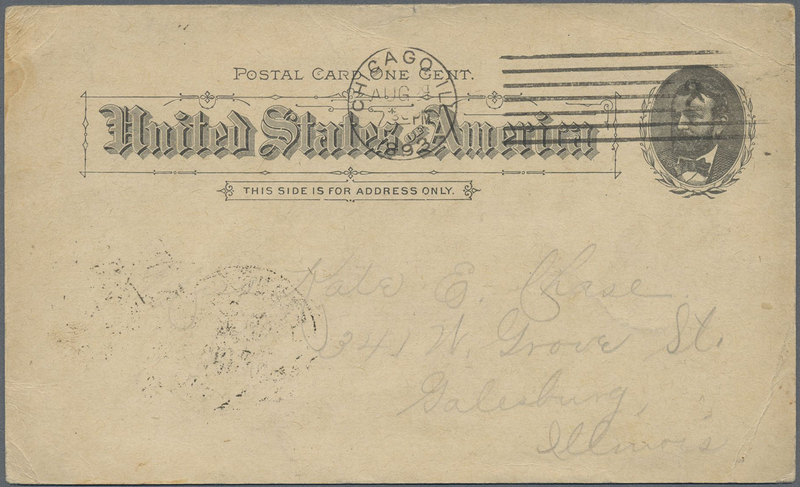 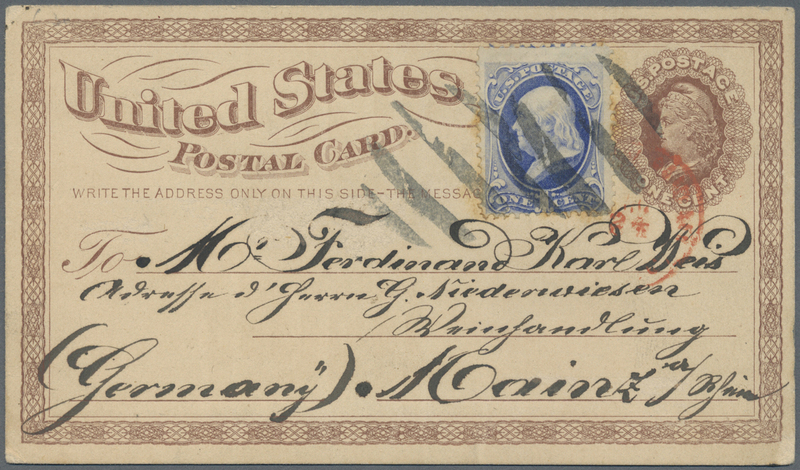 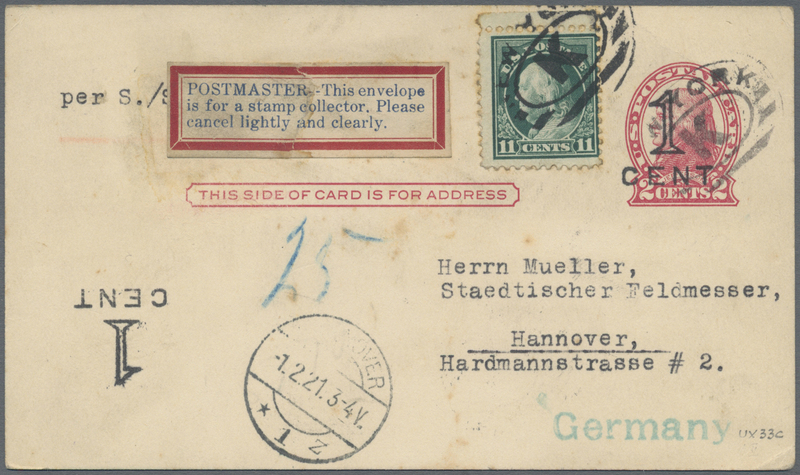 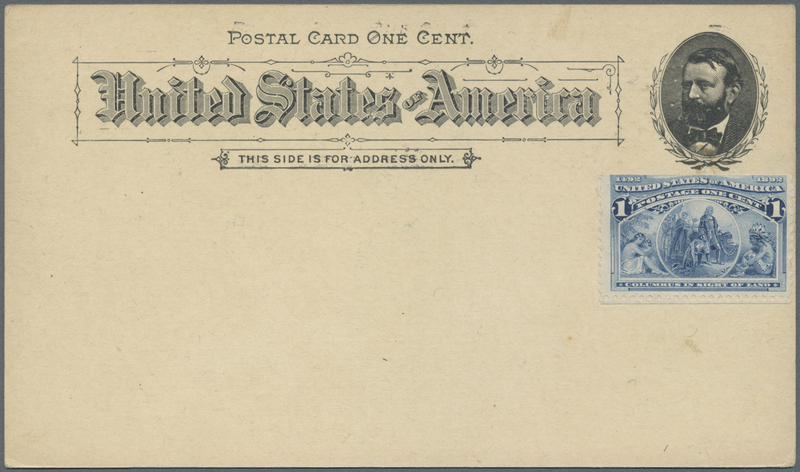 13104 Ganzsache (Complete) 1905, envelope 2 C. uprated 3 C. "SAN FRANCISCO APR 5 1905" to Freiburg/Baden, Germany (backstamp). 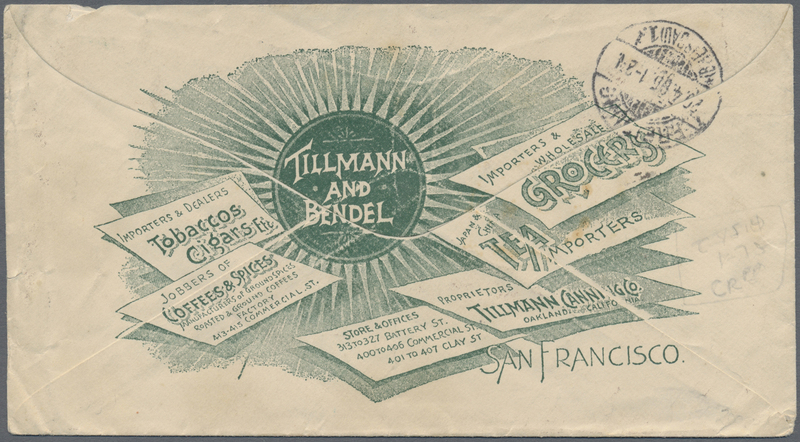 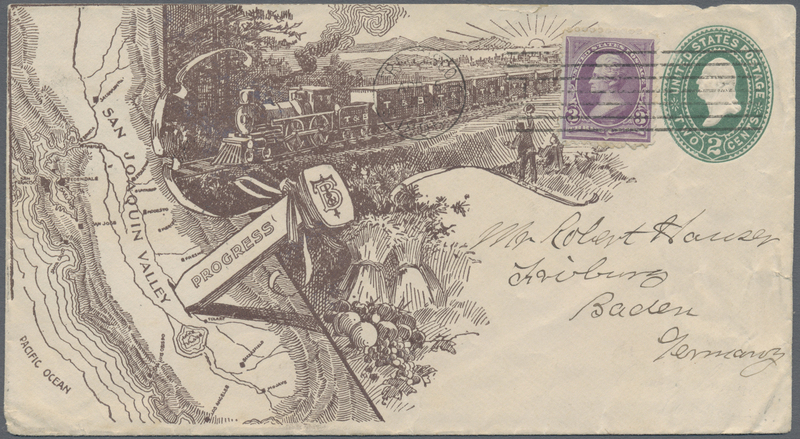 Illustrated "Railway Progress / Aan Joaquin Valley" and on reverse PR for Tillmann and Bendel, Importers of Tobaccos, Coffees, Spices, Tea etc., sligt vertical bend. 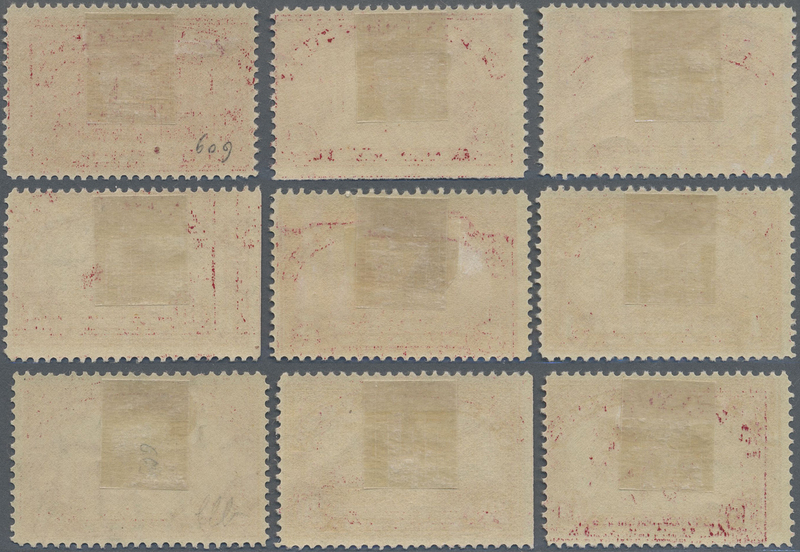 13107 Ganzsache (Complete) Sc. 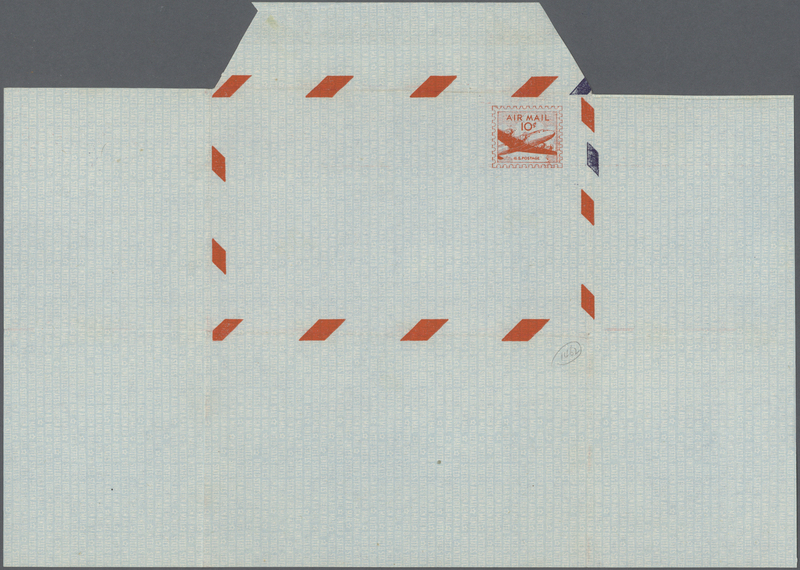 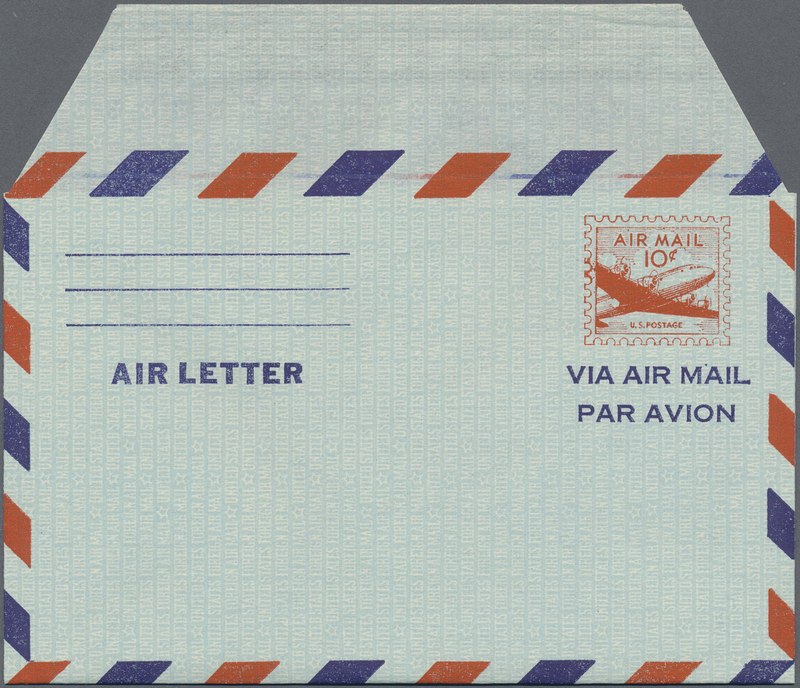 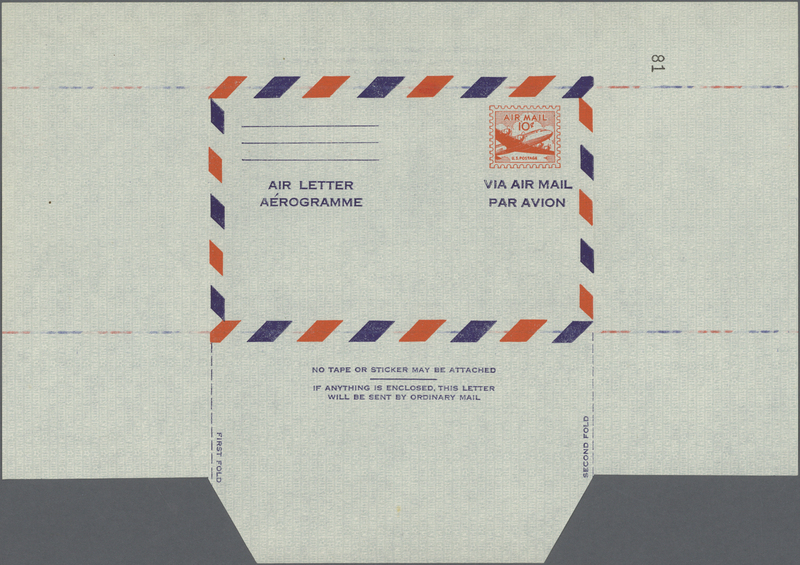 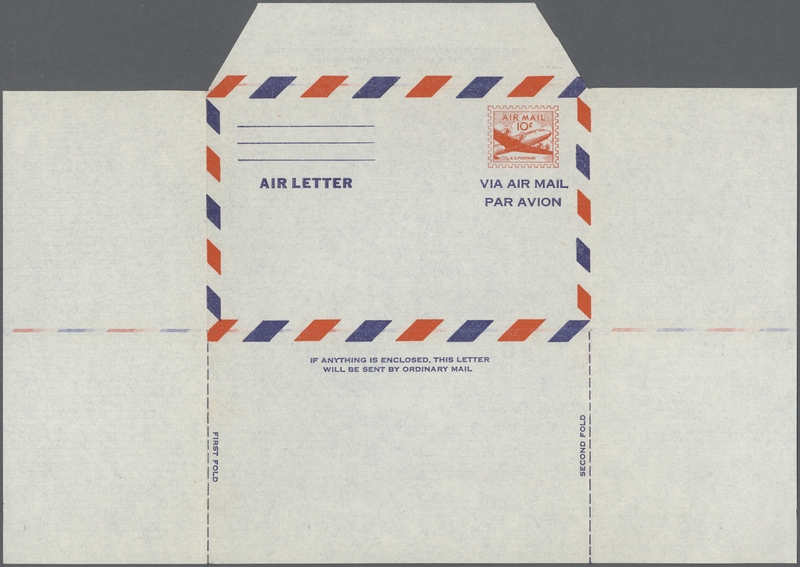 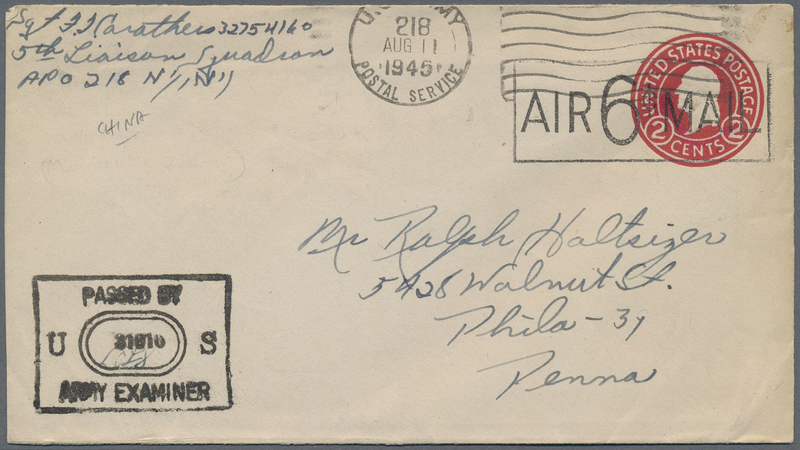 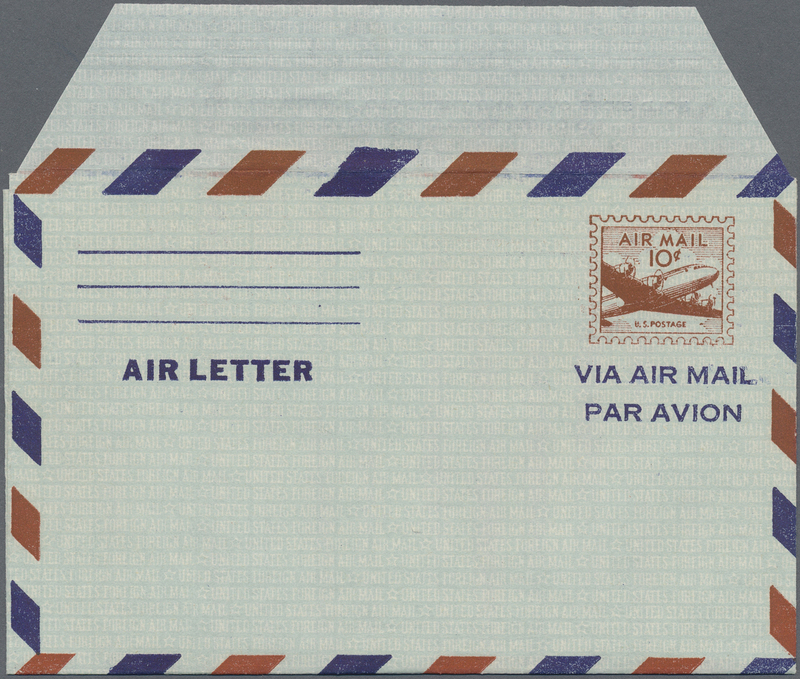 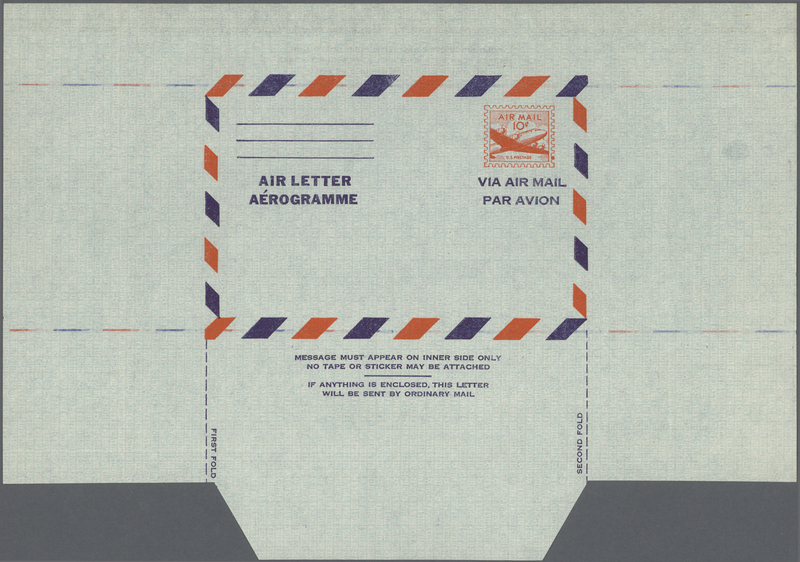 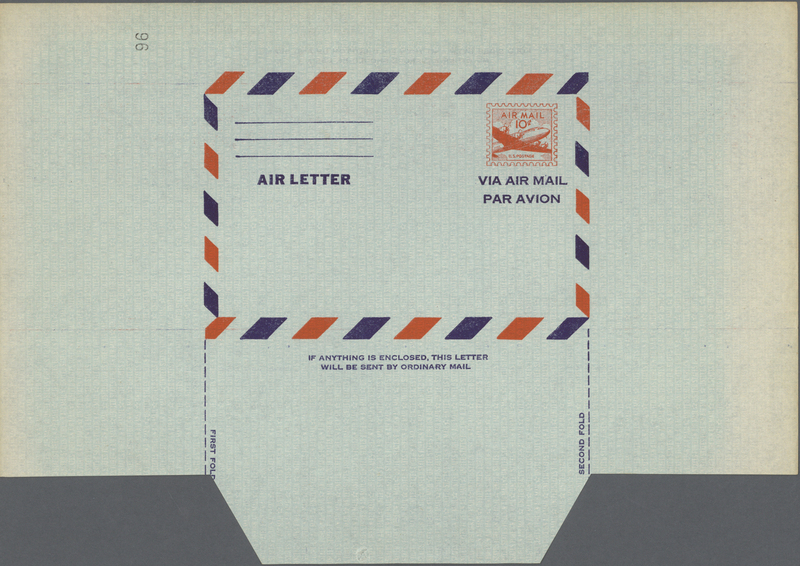 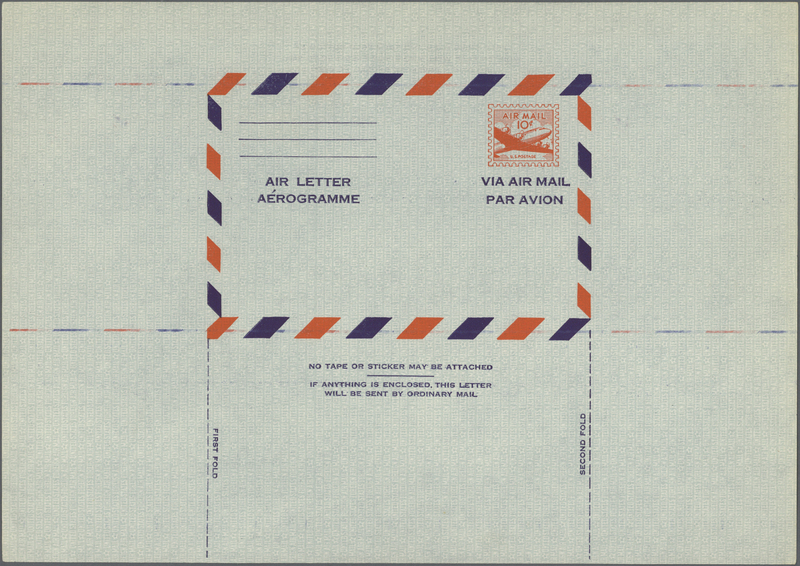 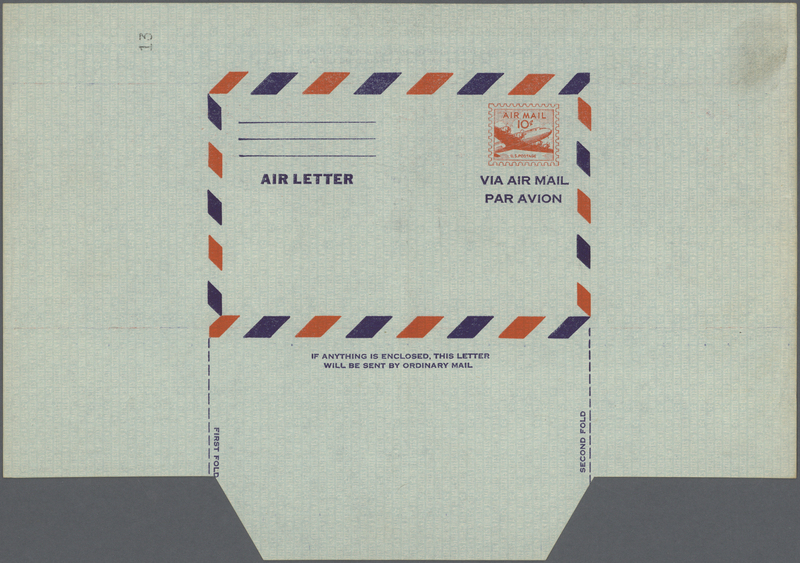 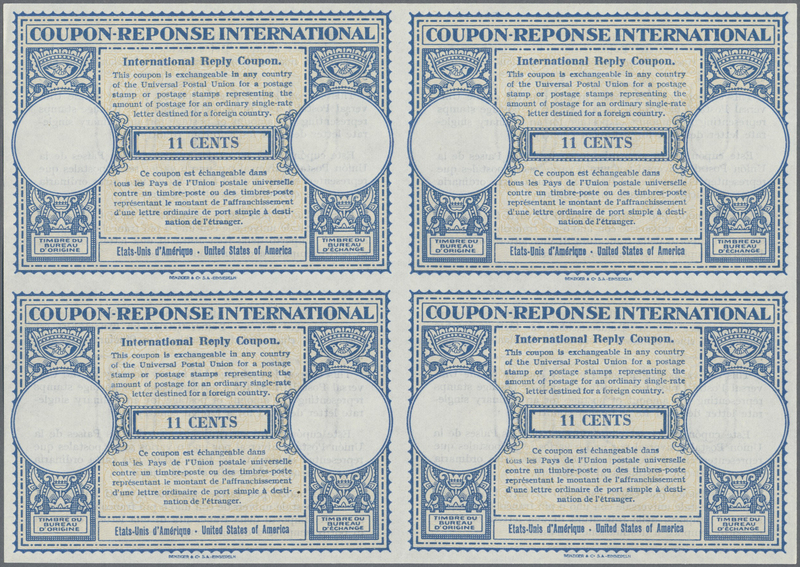 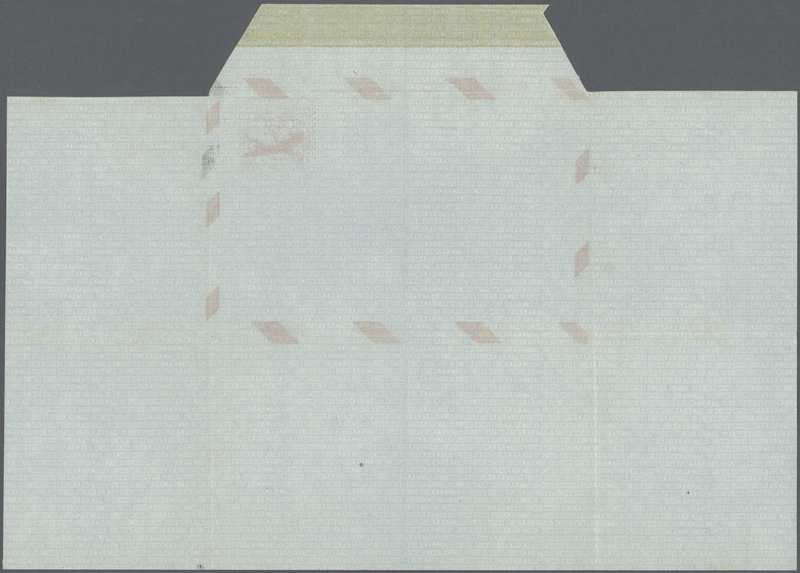 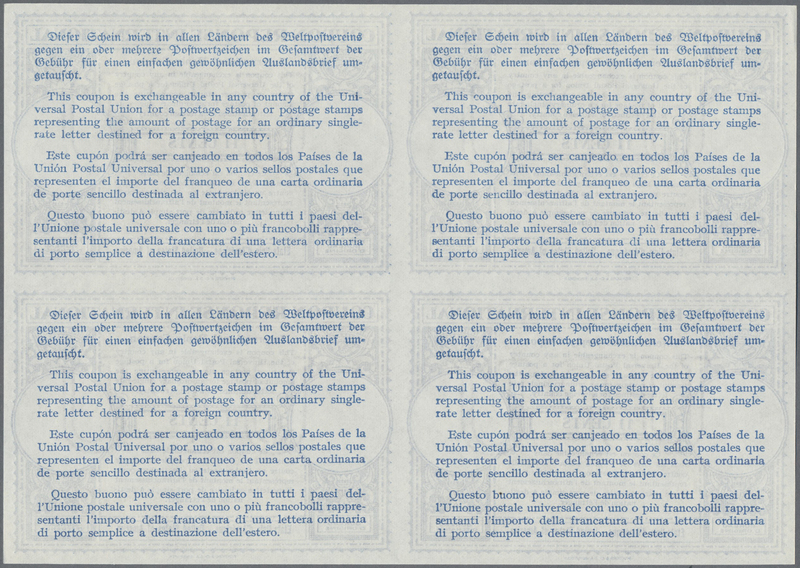 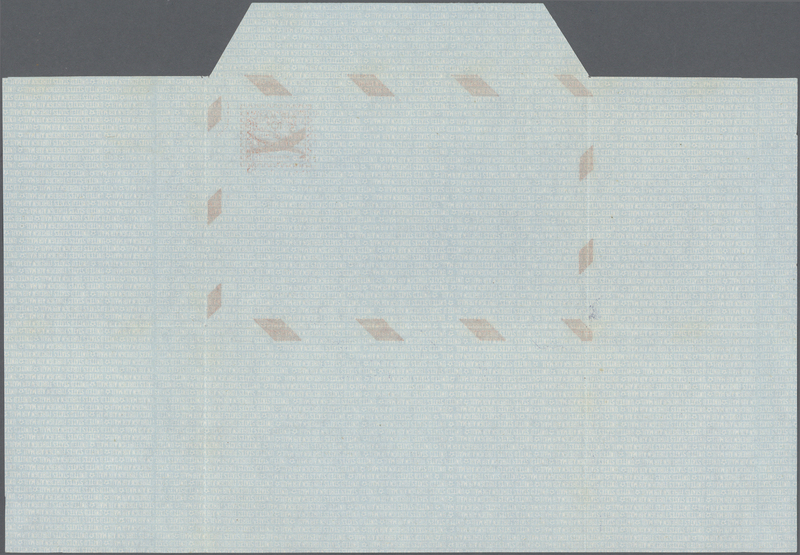 UC16b (2) 1947-55 Aerogrammes: Three air letter sheets of first design, second issue, two of them with ERROR OF COLOUR, one in reddish chocolate, the second one in deep chocolate, plus a normal one in red for comparison, fine unused.